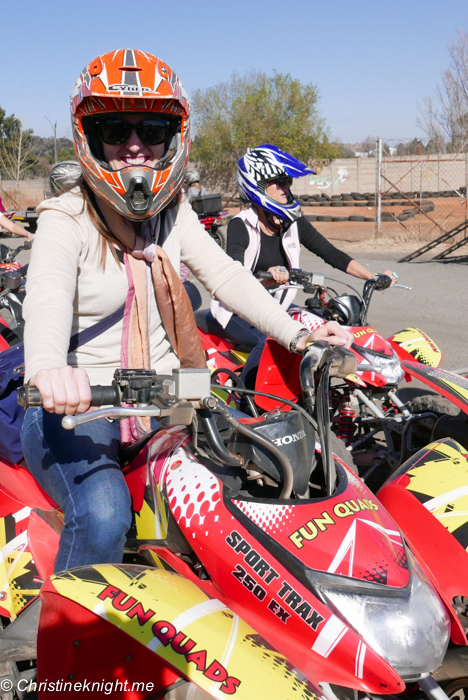 Africa Archives - Adventure, baby! A visit to Kenya has been on my bucket list for years. The East African nation is not only an awesome place for a safari, it’s also steeped in history – some of the earliest fossilized hominid remains have been discovered there, which dates human civilization in the area back millions of years. Kenya basically has it all. 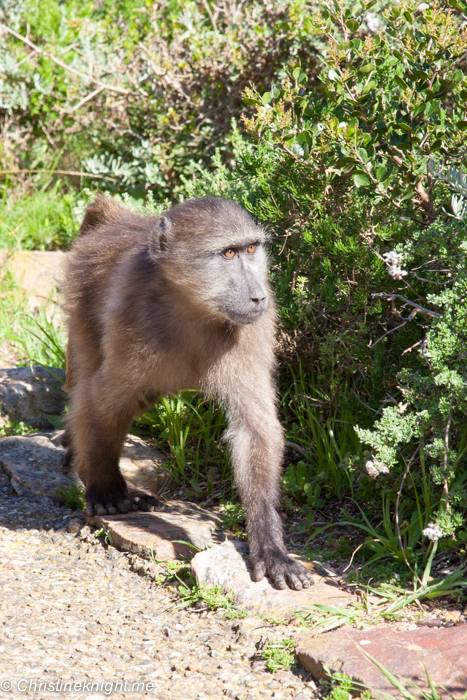 Fascinating cultural history, incredible wildlife, Indian Ocean beaches and mountain trekking. 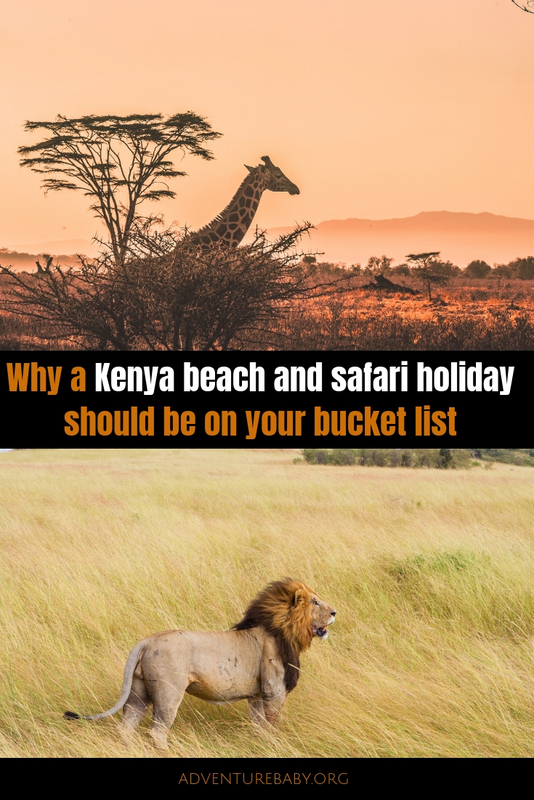 There’s a very good reason why Kenya is the number one most visited travel destination in East Africa right now, and so many good reasons to book your next holiday there! I’m yet to visit Kenya but it’s on my “someday soon” list. 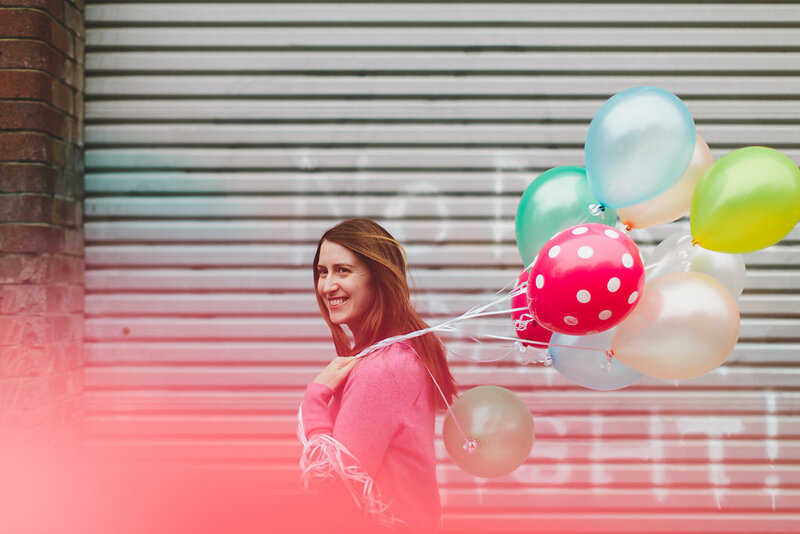 There are so many things I want to do but I don’t know where to start. Good thing there are experts like Bench Africa who craft personalised itineraries fit for your preferences and requirements. 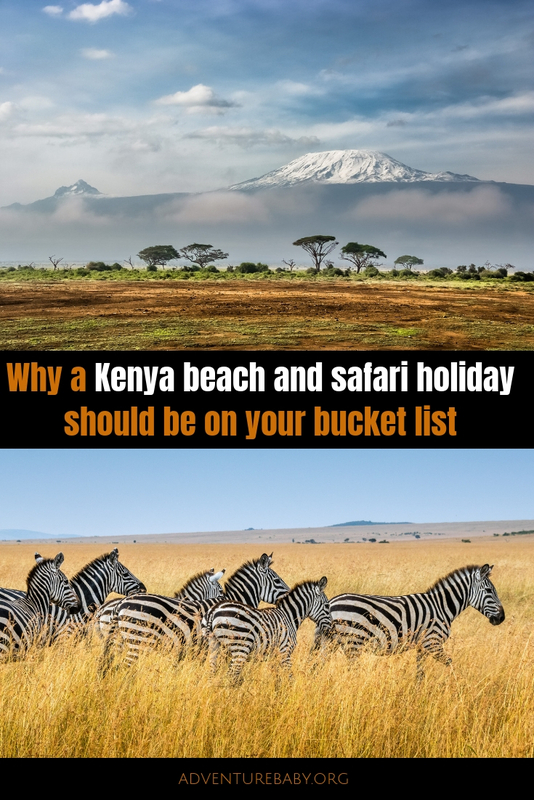 When I finally get there, I can’t wait to try one of these incredible Kenyan Safaris from Bench Africa, as well as this top ten list of things to do in Kenya. 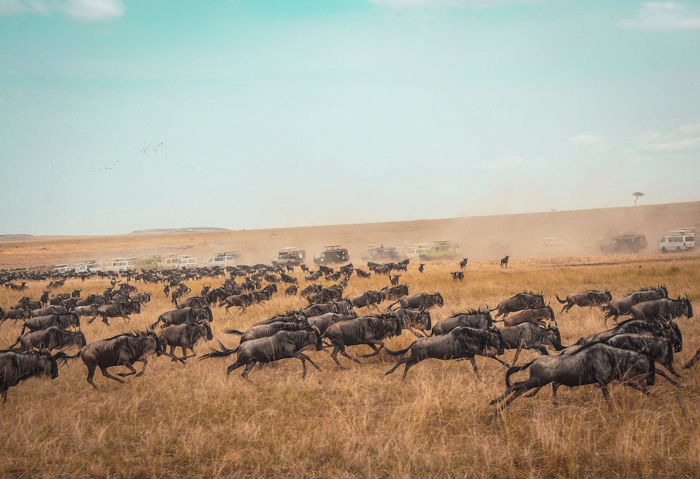 Every year, millions of wildebeest, antelope, gazelle and zebra journey through Masai Mara National Reserve from The Serengeti, arriving between July and October. 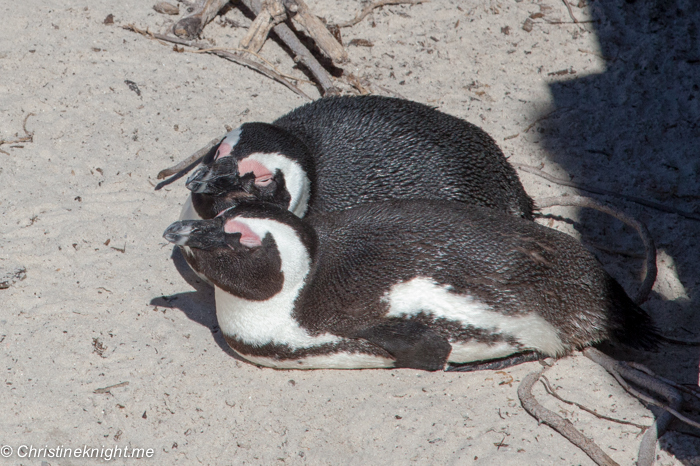 The animals are followed by predators, making for some of the most spectacular wildlife viewing imaginable. Soaking up the sun at the stunning Diani Beach along the south Kenyan coast is a must-do to balance all the adventurous action the rest of the holiday will bring. The white powder sand and clear water is the perfect place for water sports, such as snorkeling, and just your basic lounging and relaxing. 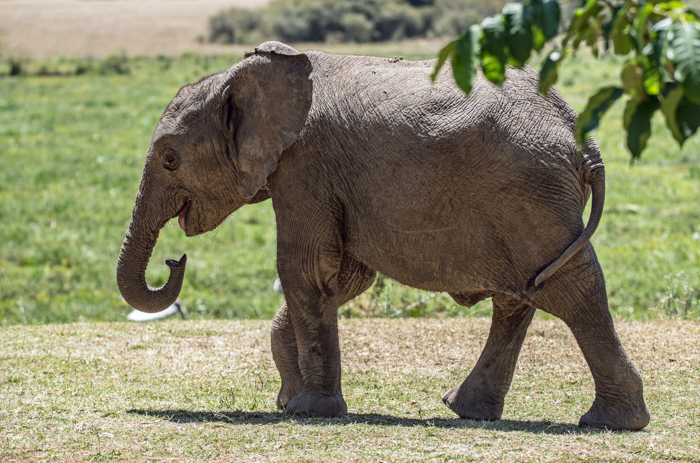 The incredible David Sheldrick Wildlife Trust takes care of orphaned baby elephants (plus a blind rhino called Maxwell) before reintegrating them back into the wild where possible. Founded in 1977 by David and Dame Daphne Sheldrick, the foundation has saved hundreds of elephants. At the sanctuary visitors have a chance to meet and foster the babies. 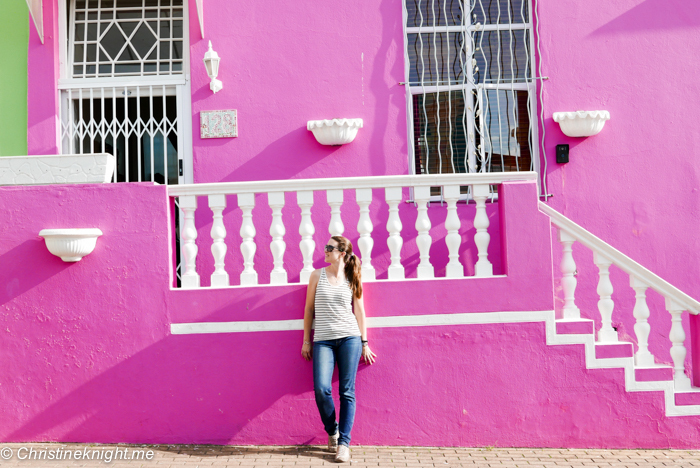 Who doesn’t love the idea of a train ride across Africa? The Nairobi-Mombasa railway, called the “Lunatic Express” in 1901 when it opened, has been modernized and the Madaraka Express makes the incredible journey from Nairobi to Mombasa in just 4.5 hours with 9am daily departures from both destinations. Once home to the famous orphaned lioness Elsa who was featured in the 1960s book by Joy Adamson “Born Free” and the following movie, the park and neighbouring Kora National Park are rugged and unspoilt, offering the chance to see a wide range of terrains such as jungle, rivers and termite cathedrals, and wildlife including Grevy’s zebras, elephants, Bohor reedbucks, hartebeests, pythons, puff adders, cobras and buffalos. The park is also a haven for bird waters, with more than 427 recorded species of birds calling it home. Central Island National Park, located in Lake Turkana, is home to the world’s largest colony of Nile crocodiles. 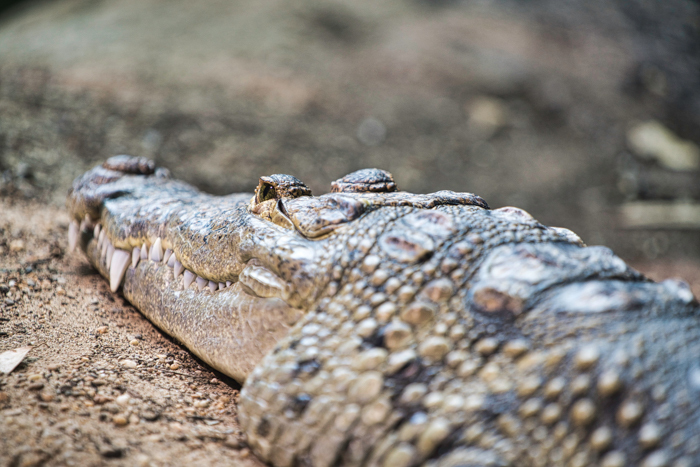 There’s an estimated number of 12,000 crocodiles living in the lake, which is the world’s largest permanent desert lake as well as the world’s largest alkaline lake. 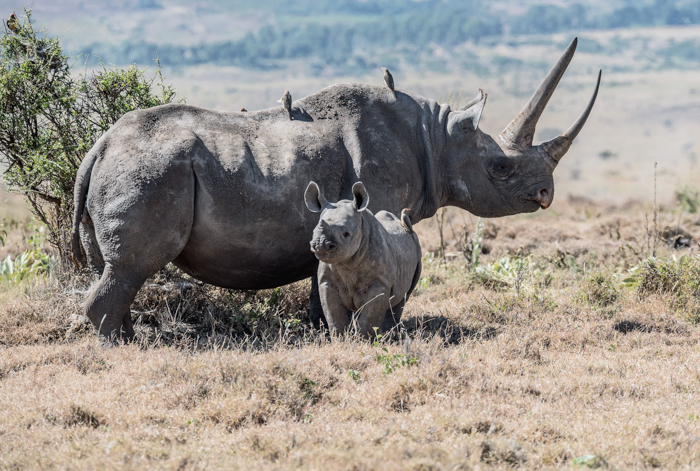 Lewa Wildlife Conservancy is working to lower rhino poaching in Kenya through using armed patrols, fences, technology and working closely with the local community. The conservancy has grown its population of black and white rhinos to more than 150 from a humble beginning of just 15 in 1984. A visit to the park will get you up close to the rhinos, who make up 14% of Kenya’s entire rhino population, as well as herds of elephants, buffalo, giraffes, cheetahs, lions, the world’s single largest population of Grevy’s zebra and over 400 species of birds. 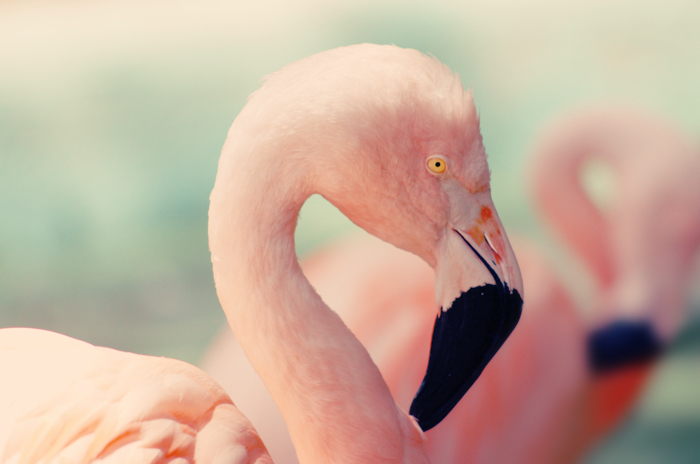 Up to two million flamingoes descend upon Lake Nakuru, attracted by the lake’s abundance of algae. You’ll see quite a show of pink here, as well as lions, warthogs, baboons and other large mammals who live in the surrounding Lake Nakuru National Park. 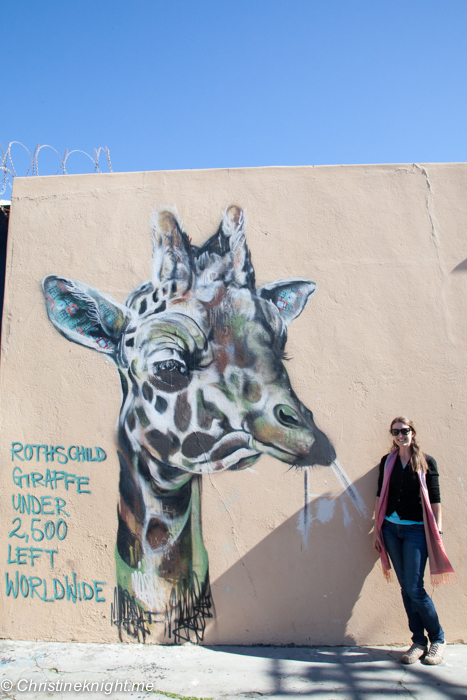 The park also provides sanctuary to black rhinos, southern white rhinos and Rothschild’s giraffes. A stay at the Giraffe Manor Hotel is the number one thing I have long wanted to do in Kenya. 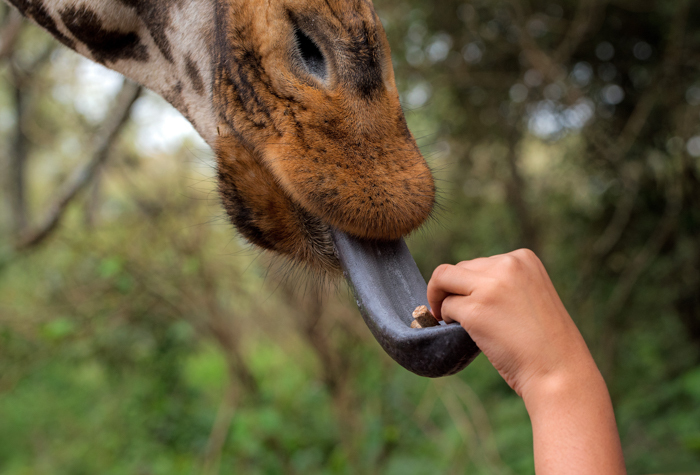 The hotel is located on the grounds of the AFEW Giraffe Center, which is a sanctuary for the endangered Rothschild Giraffe. Every morning and evening giraffes visit the hotel, poking their heads through the windows in hope of a snack. Bucket list indeed! The Loisaba Conservancy is home to whopping 50 kinds of mammals, including elephants, buffalo, Grevy zebra and a variety of big cats. What really sets the conservatory apart is their Starbeds – handmade four-poster beds on wheels, which are rolled out onto raised wooden platforms so that guests can sleep under the starry night sky. This is how I like to “camp”! I think tours are the way to go when visiting Kenya and these excellent tours by Bench Africa look incredible. 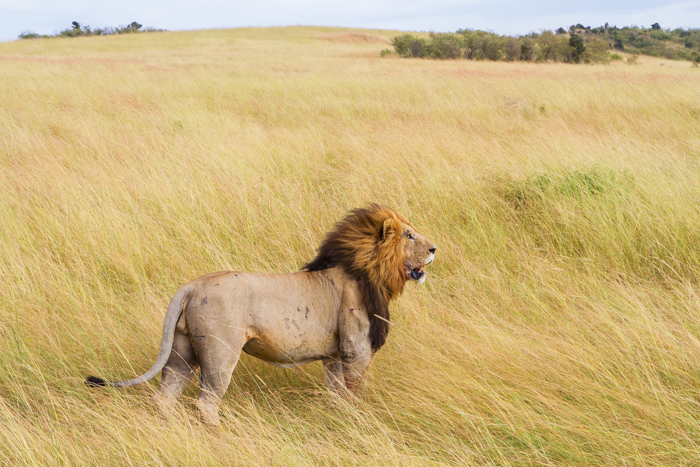 This award-winning safari combines all the best aspects of a Kenyan safari. The Great Kenya Safari offers you the opportunity to experience the world-famous Masai Mara, the colourful birds of Lake Nakuru, the majestic vistas of Mount Kilimanjaro, the clear water springs at Mzima Springs in Tsavo West and witness herds of ochre-red elephants in Tsavo East National Park. 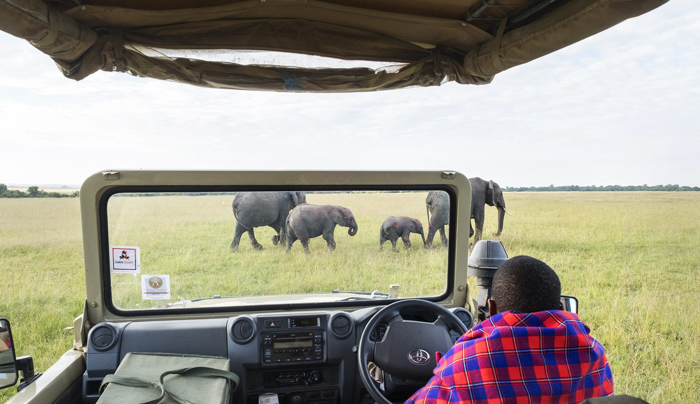 Immerse yourself in eight days of wildlife on a scheduled small group safari through Kenya, with a maximum of seven passengers per vehicle. This vibrant tour is both a wonderful introduction to safari and to the diversity of Kenya itself. 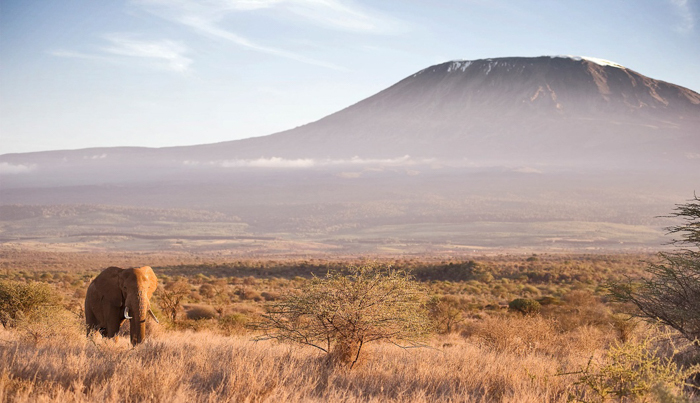 Enjoy 7 nights on a wildly luxurious safari filled with luxury and adventure, experiencing exhilarating wildlife encounters and some unique and personal touches that will be remembered for an entire lifetime. 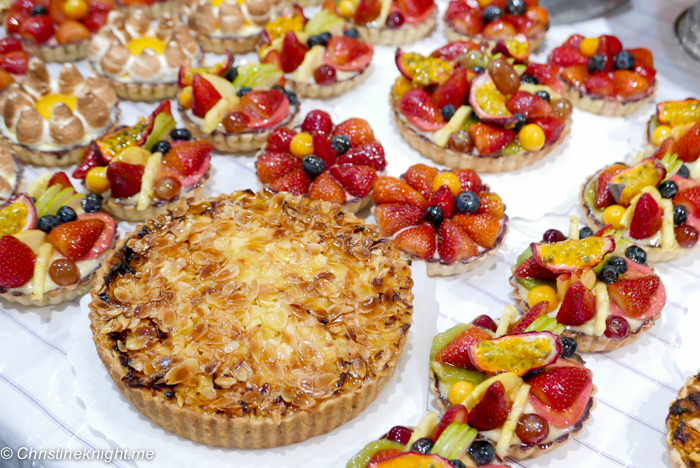 Your first stop needs no introduction! The elegant Giraffe Manor is home to a “tower” of resident Rothschild giraffe who may visit morning and evening, sometimes poking their long necks into the windows in the hope of a treat, before retreating to their forest sanctuary. Stay one night here before your journey takes you on an unforgettable bush experience. Sip on a sundowner whilst watching the glorious Masai Mara sunset at Sala’s Camp. Snuggle up in front of a roaring fire, with outstanding views of Mount Kenya at Solio Lodge. A wonderful exploration of wild Kenya! 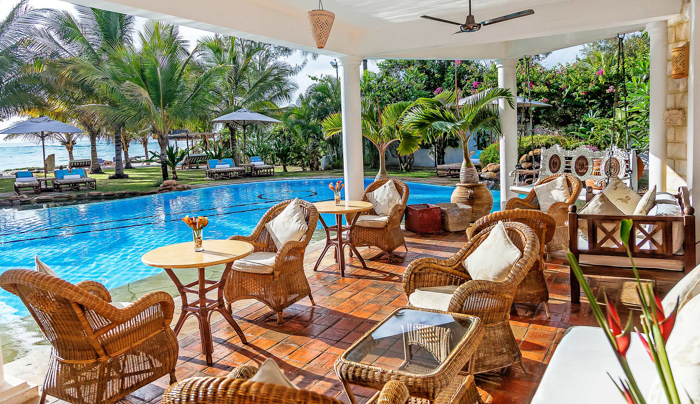 Located on the white sands of gorgeous Diani Beach, AfroChic offers an intimate experience for those seeking rest, relaxation and the personal touch. The hotel has just 10 rooms each with en-suite, balcony and sun-lounger. 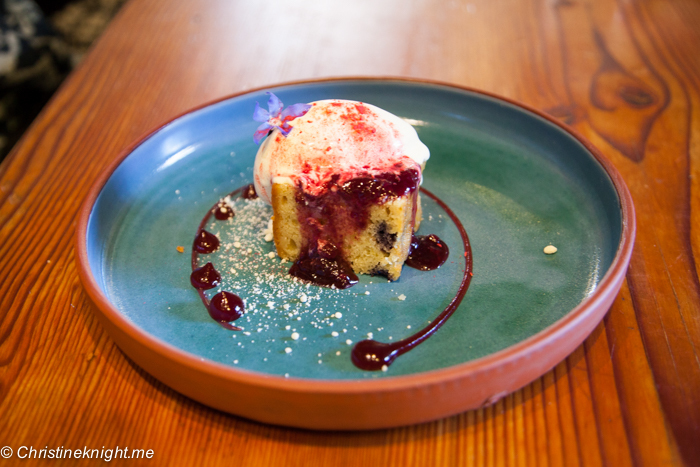 The property has a unique and eclectic style of interiors and design and friendly staff are on hand to provide those little but special details. Enjoy a massage or beauty treatment, or simply relax on the beach enjoying views of ancient dhows in full sail. An incredible and unique flying safari, capturing the sights of endangered wild African animals whose existence is not only threatened but in many cases endangered according to the venerable IUCN Red List of threatened species: Lion and Cheetah in the world famous Masai Mara, African Elephant in Samburu, Wild Dog (also known as painted Dogs), the Black Rhino and the critically endangered Northern White Rhino in Laikipa. Experience the excitement and stunning scenery of magical Kenya from the air, aboard an executively configured luxury Cessna Caravan. Truly a trip of a lifetime! Written in collaboration with Bench Africa. 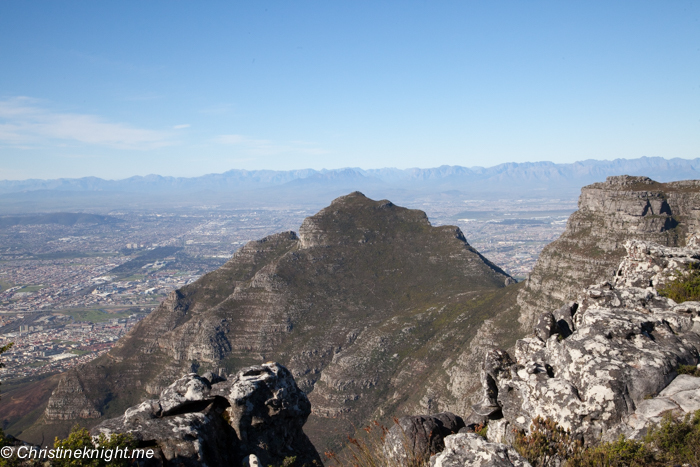 A journey up the mountain is a must for any visitor to Cape Town. 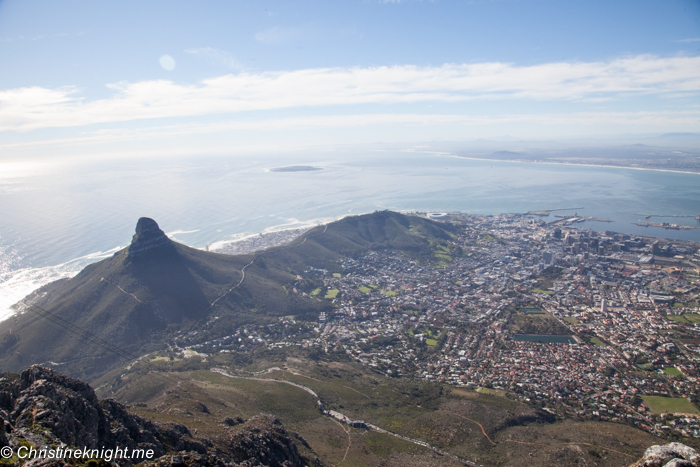 The flat top peak of the mountain reaches 1,086m above sea level, so you’re guaranteed an incredible view of the entire city from up the top. Getting up the top is half the fun! 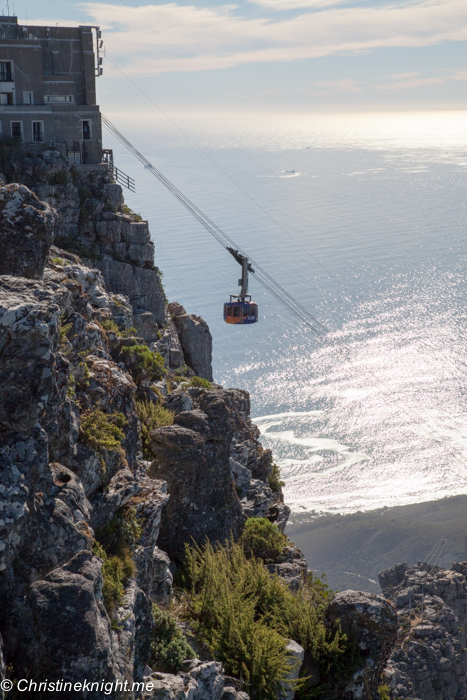 Catch the 360° rotating Table Mountain Cableway to the top of one of the oldest mountains in the world. 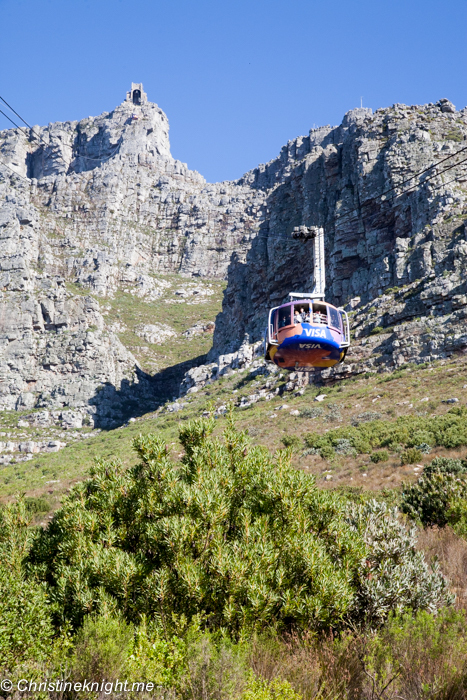 The rotating cable car enables every person inside to see all view points during the ascent and descent – just keep your hands (and camera!) inside the windows. 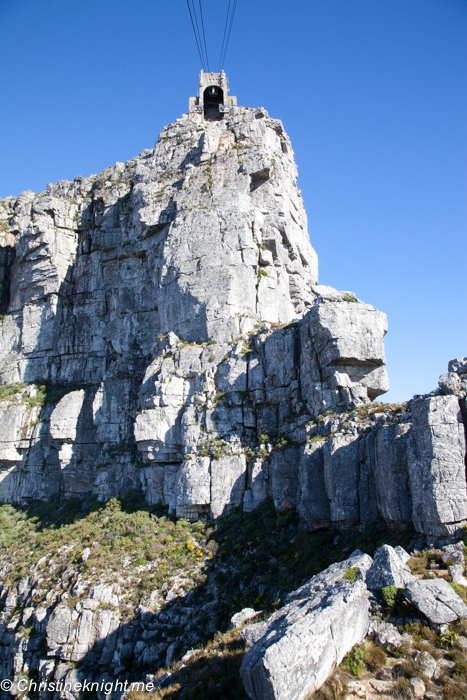 Up the top of Table Mountain there are three easy three easy walking trails, or you can go rouge like the majority of people we saw up there, hopping from rock to rock like mountain goats. 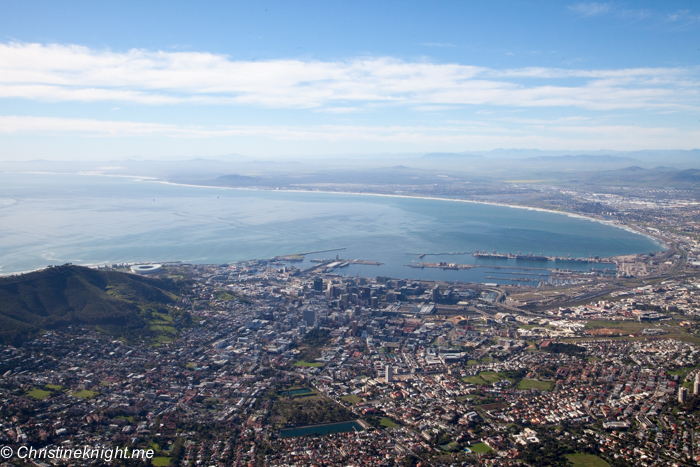 Look for landmarks such as Robben island, Lion’s Head and the southern Cape – all of which are visible from the top. 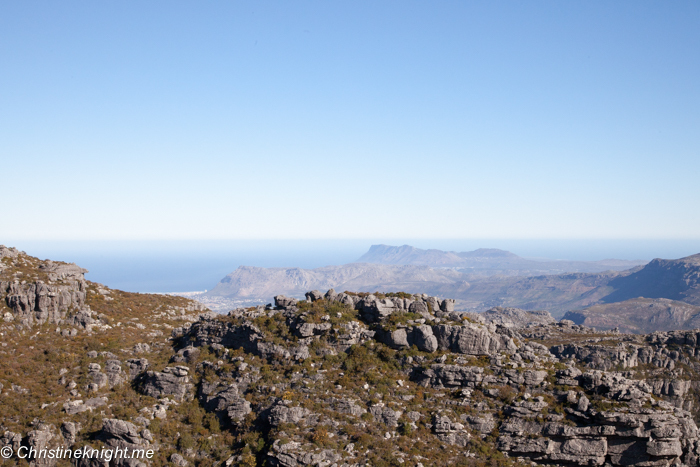 Table Mountain is home to an incredibly diverse range of plant, animal and insect species, with many of the plant species found nowhere else in the world. 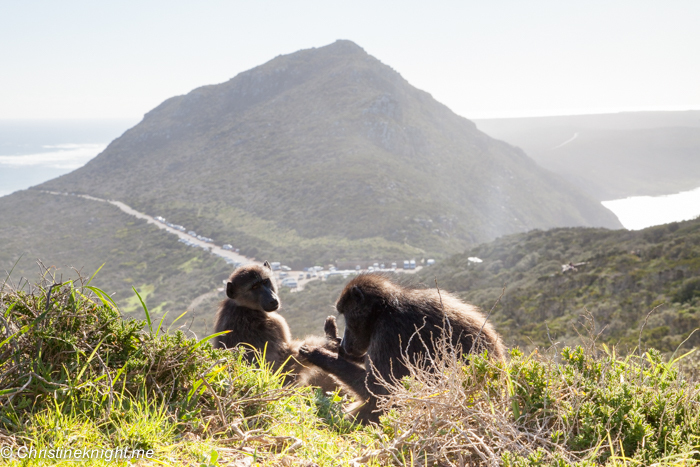 The mountain’s vegetation types form part of the Cape Floral Region protected areas, which have been classified as a World Heritage Site. 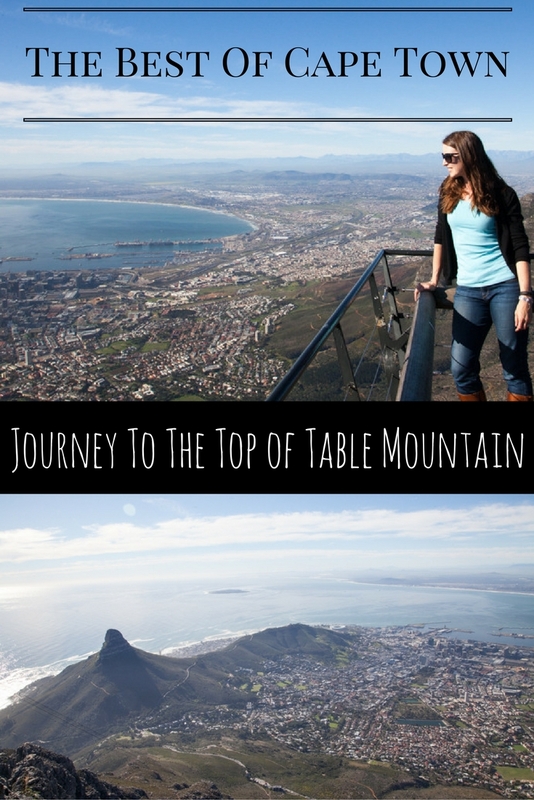 Buy tickets online: http://www.tablemountain.net. Seasonal rates apply, kids under 4 are free. 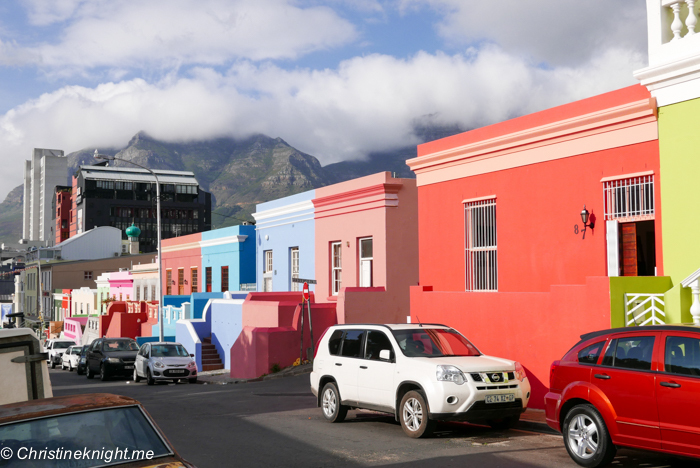 Use a metered taxi or Uber for taking short trips around Cape Town. 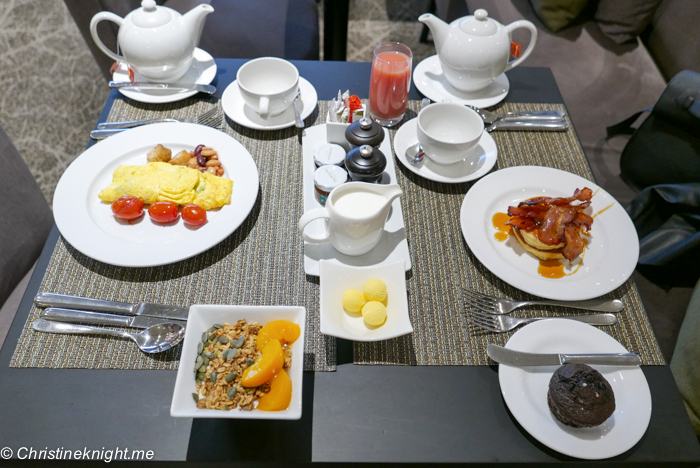 While in the Cape Town City Centre, I stayed at the Westin Cape Town Hotel. 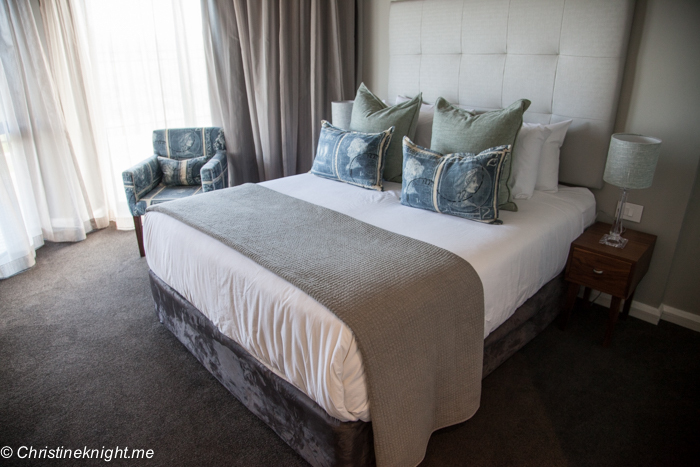 The hotel is extremely modern, secure, and an easy walking distance to the stunning V & A Waterfront district. 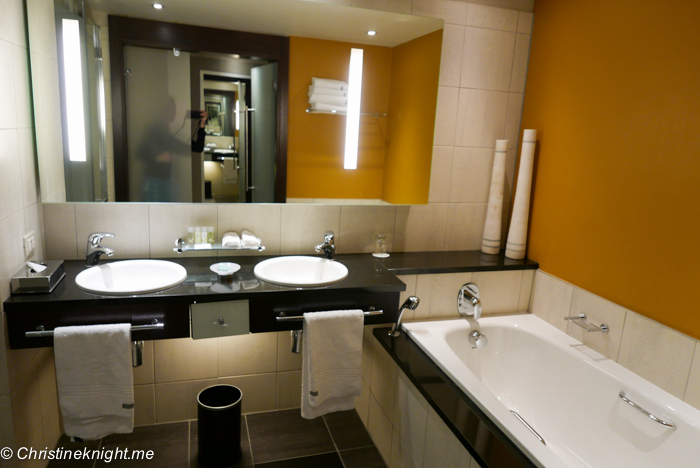 My room was large and comfortable – with an incredible heated floor! 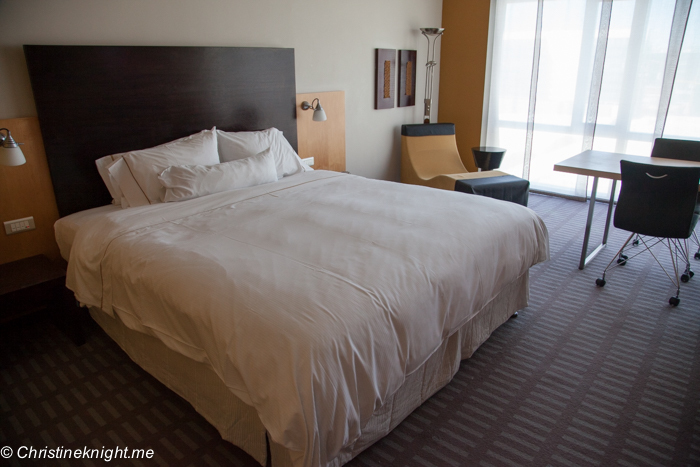 I also enjoyed the hotel’s free wifi and helpful staff who gave us a plenty of assistance in getting around the city. 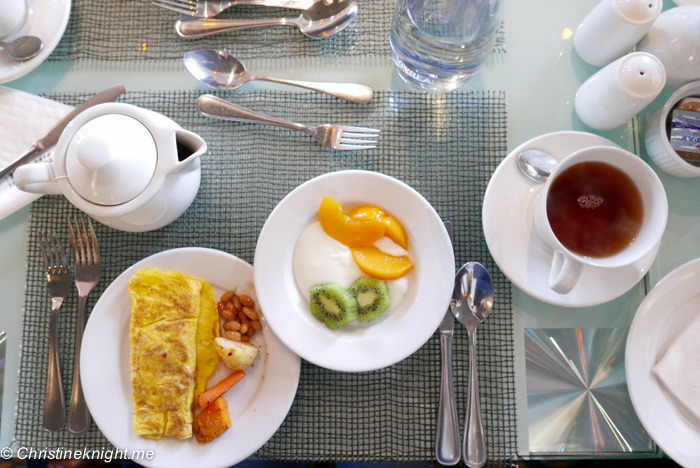 The daily buffet breakfast at the Westin was excellent, particularly the fresh fruit and yoghurts and omelette station. 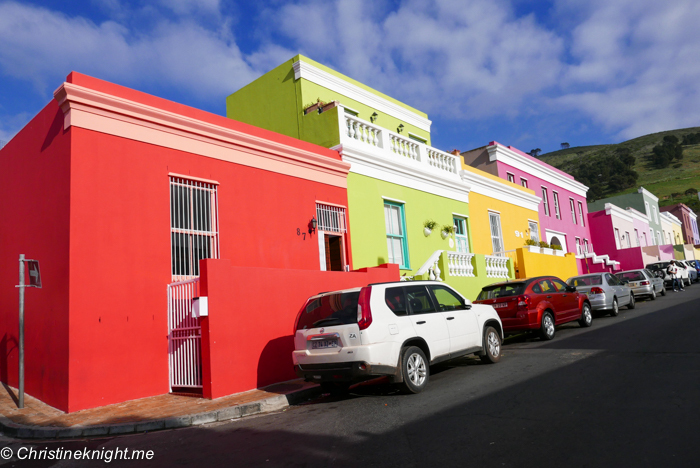 I visited South Africa as part of the Australian Society Of Travel Writers’ annual general gathering. 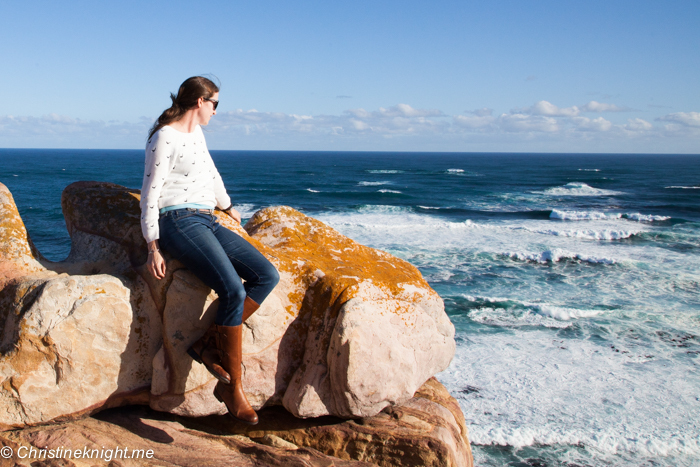 While my trip was supported by South Africa Tourism Australia, all opinions are my own. 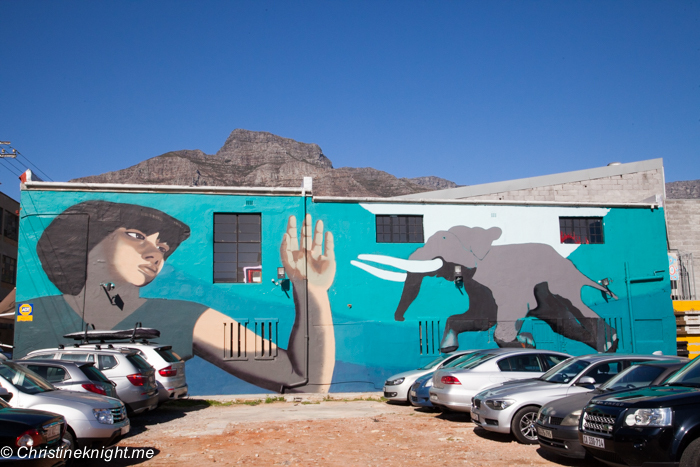 Get ideas on more things to do in Cape Town here. 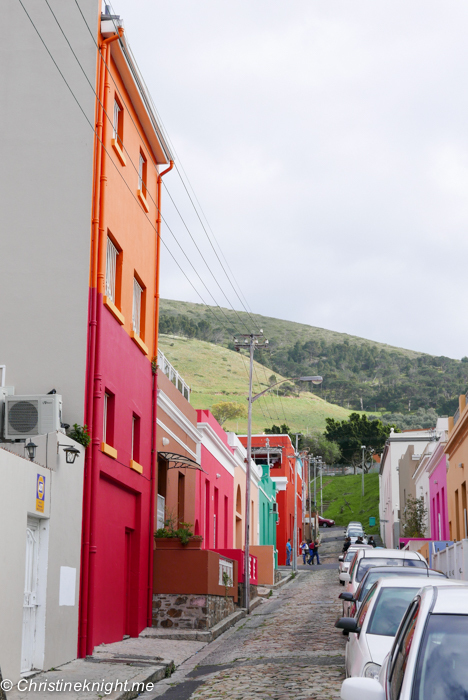 This little neighbourhood of Cape Town, situated on the slopes of Signal Hill above the city centre, is an Instagrammer’s dream come true. 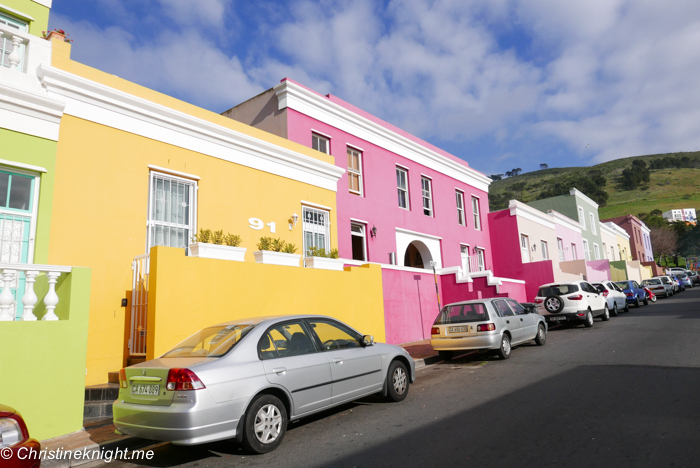 Bo-Kaap, with its colourful houses all shades of pink, green, yellow and blue, has become a must-visit for visitors to Cape Town both due to its vibrant colour combinations and also because of its historical significance. 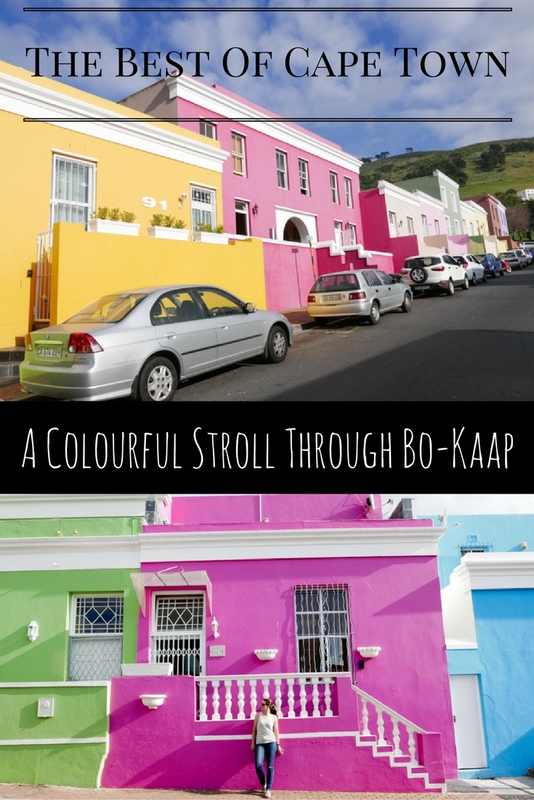 Bo-Kaap is a former township* formerly known as the Malay Quarter. 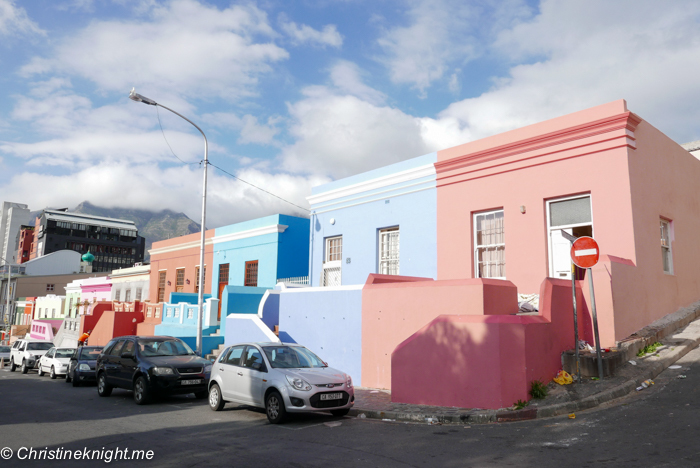 It is an historical centre of Cape Malay culture in Cape Town, with the Nurul Islam Mosque, established in 1844, located in the area. 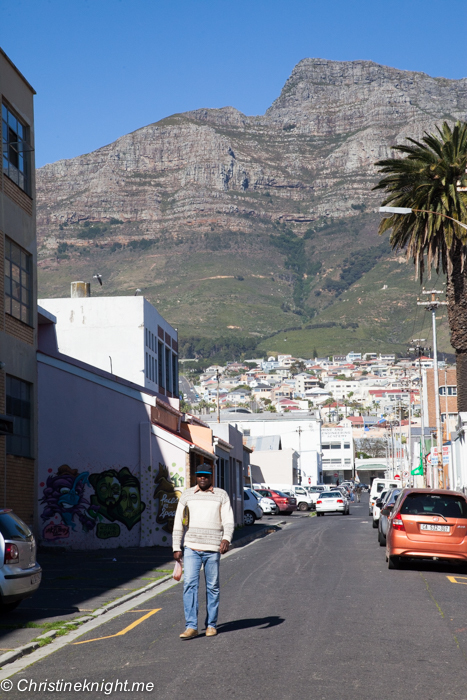 After the demise of forced racial separation under the apartheid laws, Bo-Kaap has become much sought after for property, due to it’s location, architecture and cobble stoned streets. 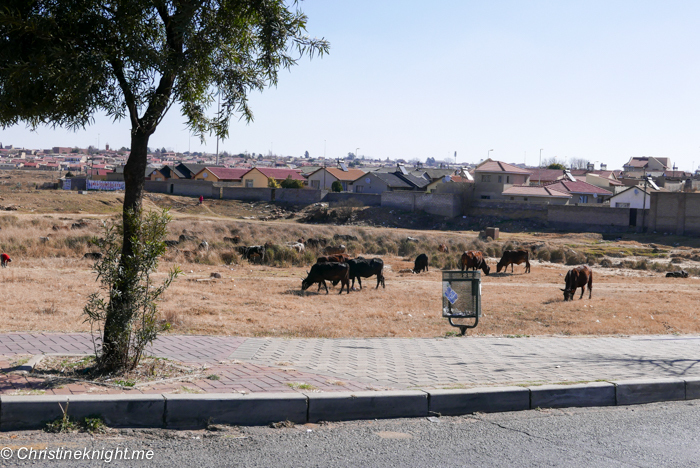 *In South Africa, the term township and location usually refers to the (often underdeveloped) urban living areas that, from the late 19th century until the end of Apartheid, were reserved for non-whites (black Africans, Coloureds and Indians). Townships were usually built on the periphery of towns and cities. 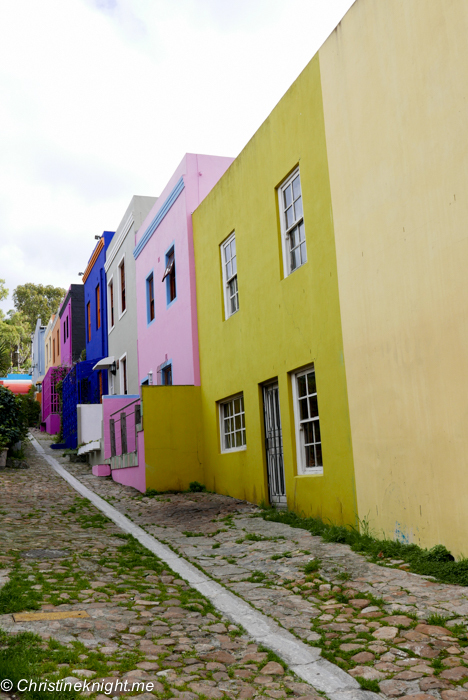 See more of Cape Town’s history with a visit to Robben Island. 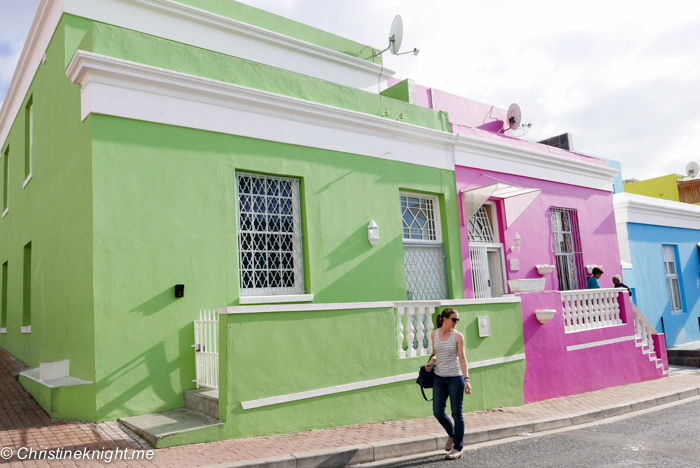 One of Cape Town’s oldest suburbs, Woodstock has undergone a dramatic transformation in recent years from a run down town filled with litter, crime and drugs, to becoming a hip neighbourhood with trendy restaurants, offices and boutiques. 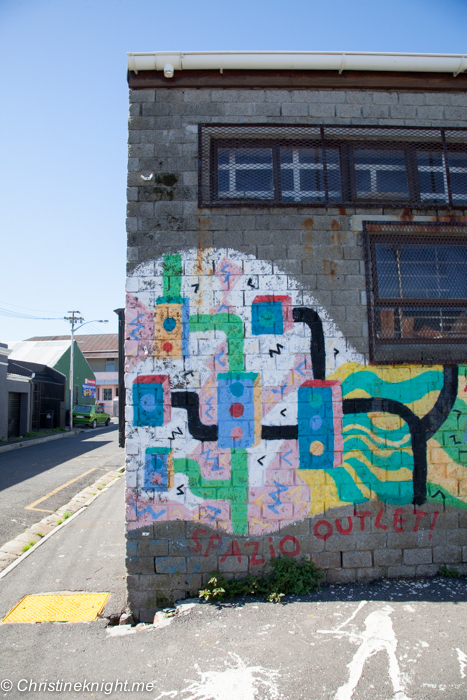 The regeneration of Woodstock comes in part thanks to the Woodstock street art project that began in 2009, where locals like our walking tour guide, Juma, decided to take art from its traditional setting indoors, to the great outdoors. 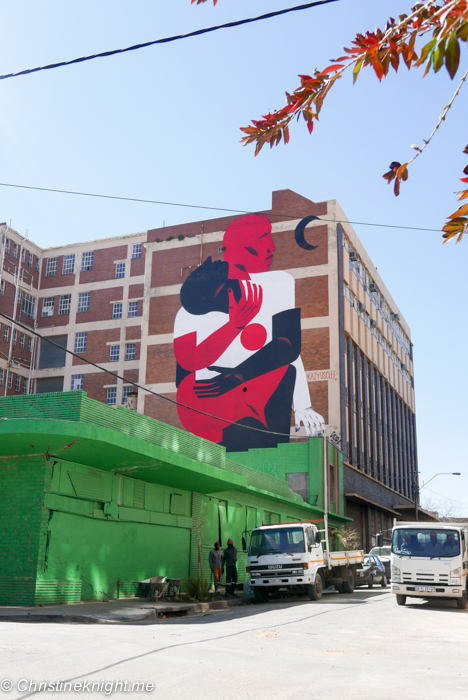 “We wanted to put art on the street to inspire people,” said Juma, as he explained the beginnings of the project at the start of our tour. 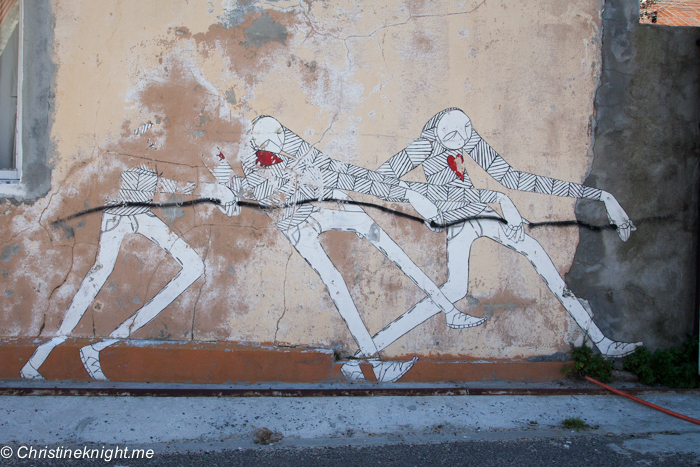 “This way, everyone owns the art”. 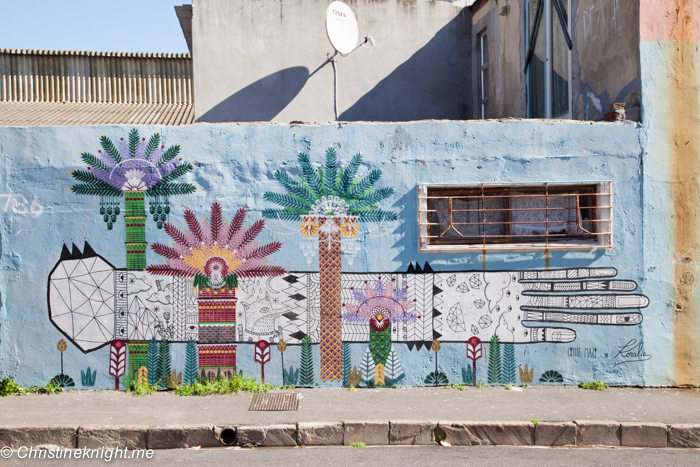 With the lofty goal to change the neighbourhood through beautiful, socially conscious murals, Juma and his collaborators invited established artists from all over the world to contribute to the project. 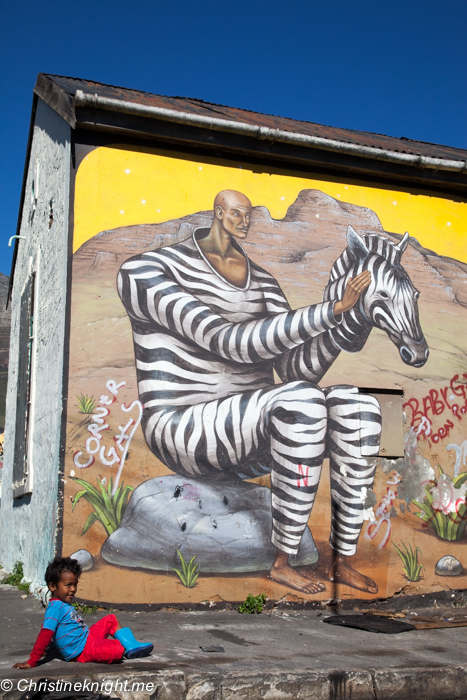 The result is over 100 murals and installations by 40 artists, with topics ranting from the political, such as the tribute to the Sharpeville massacre by Freddy Sam that we see in the parking lot at the start of the tour, to the ecological and educational. 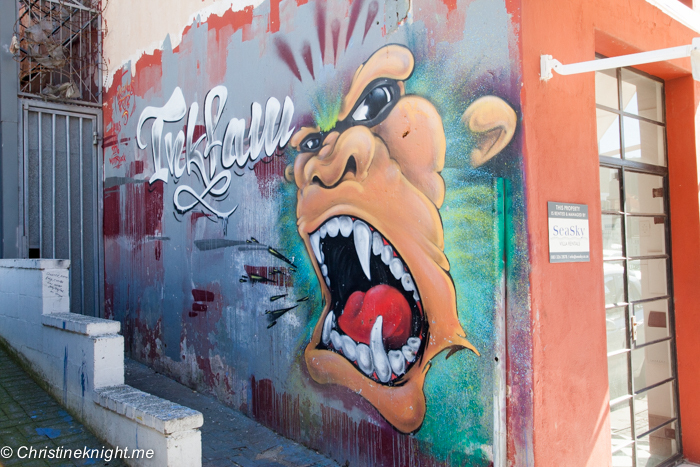 The murals are painted all over the streets – on fences, houses and shops. 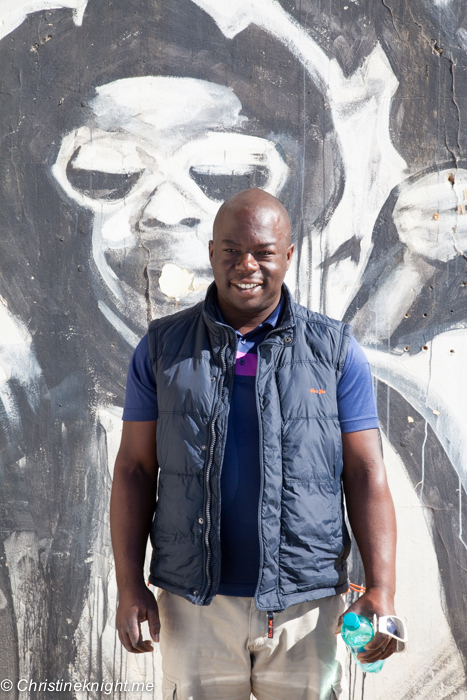 “Permission is asked and rarely denied”, says Juma. 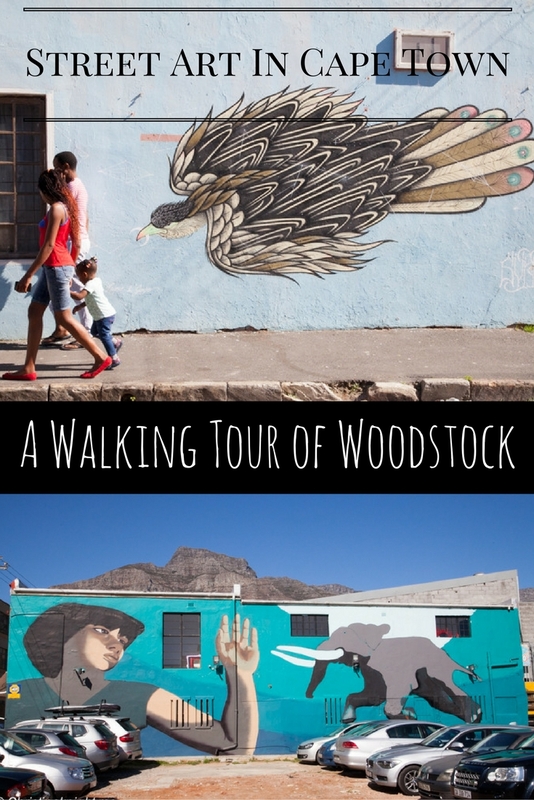 While you can absolutely take yourself on a street art walking tour of Woodstock, the experience is enriched with the correct context applied to each work. 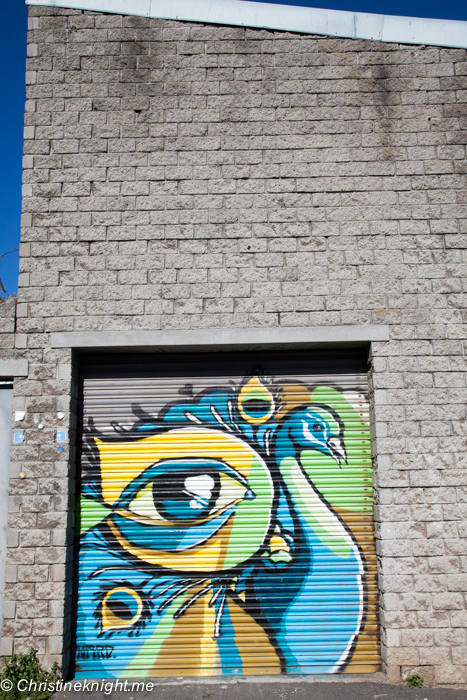 The success of the Woodstock street art project is evident in the vibrant atmosphere to be found in the streets and converted warehouses, which are filled with young professionals, urban hipsters and plenty of tourists. 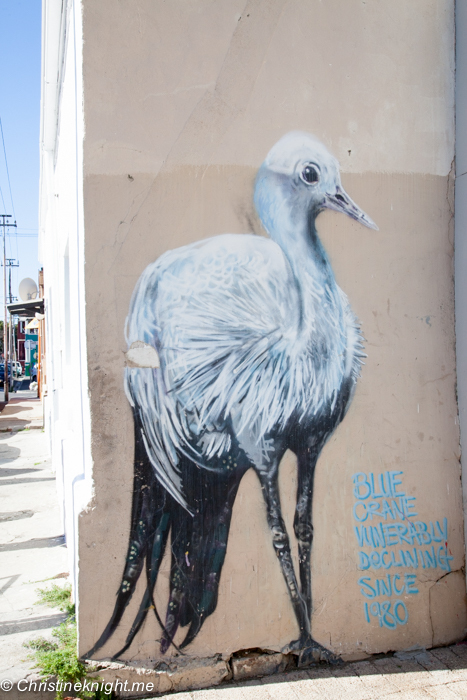 Juma’s Woodstock Street Art Walking Tour runs four times a day in summer and four times a week in winter. 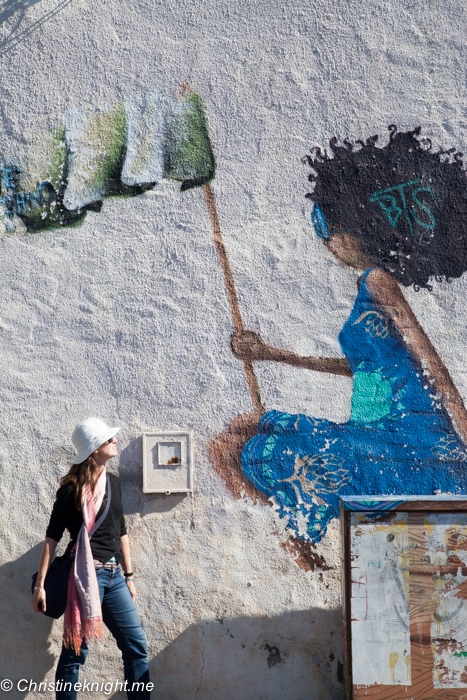 For an additional cost, participants can paint their own mural in the neighbourhood. 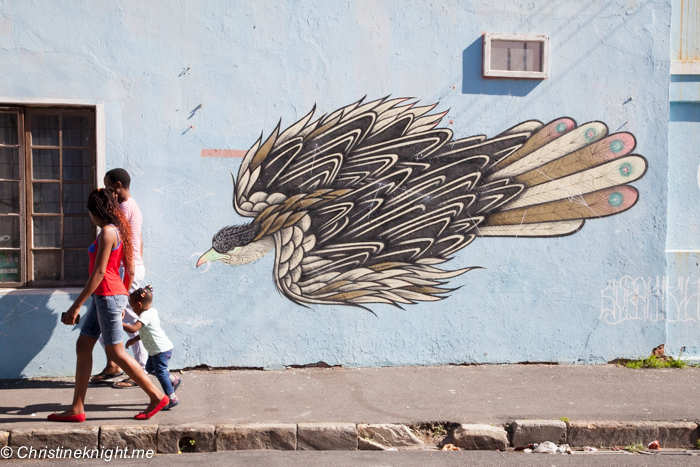 To book a street art walking tour of Woodstock contact Juma directly on juma.mkwela@gmail.com or +27734004064. 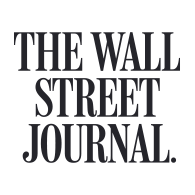 Get more details online. 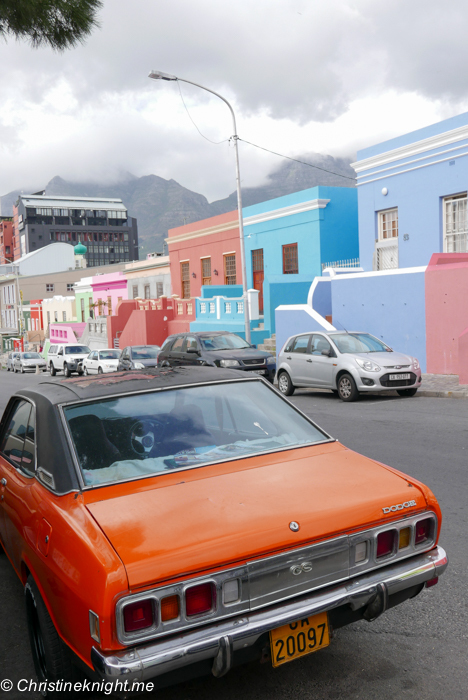 Use a metered taxi or Uber for taking short trips around Cape Town. 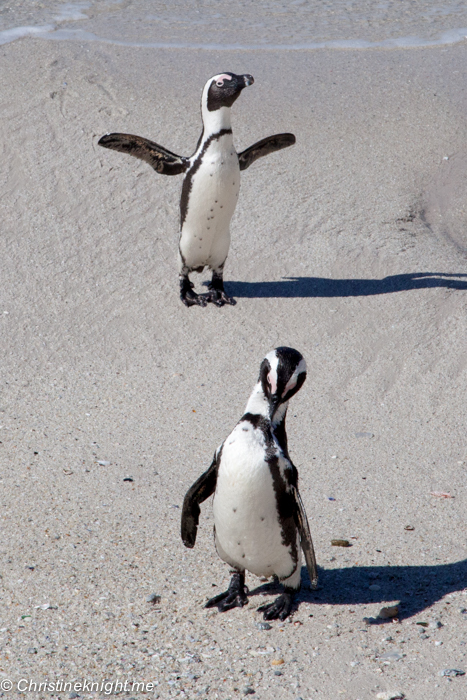 For longer journeys, such as the Capes and Boulders Beach, either hire a car and self-drive or book an escorted tour. We travelled with the very knowledgable and kind Francois from Hylton Ross. 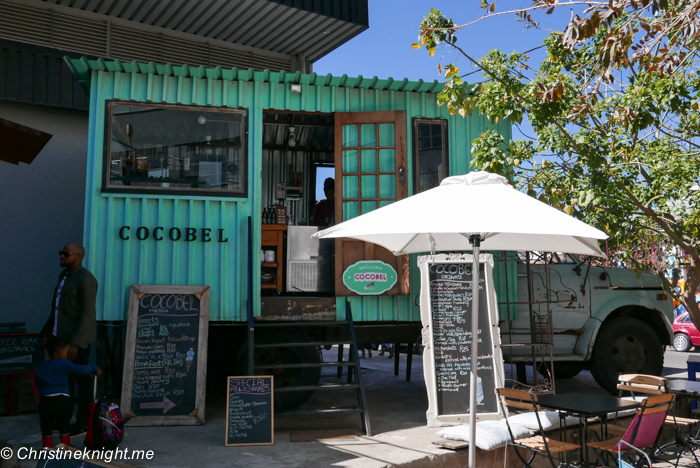 The Durbanville Wine Valley is renowned for the quality of wine produced, as well as the delicious food offered at the winery restaurants. 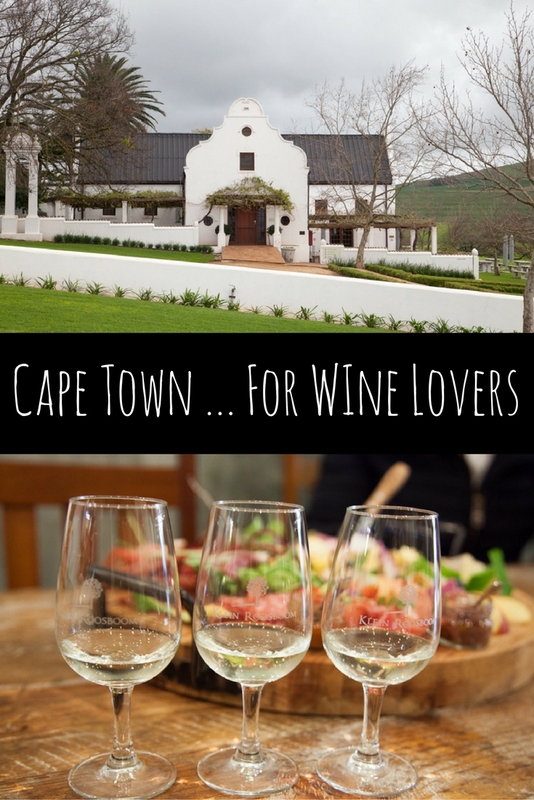 I had the pleasure of visiting a few truly unique wineries on my visit to Cape Town, that I would highly recommend to fellow travellers to the regions. 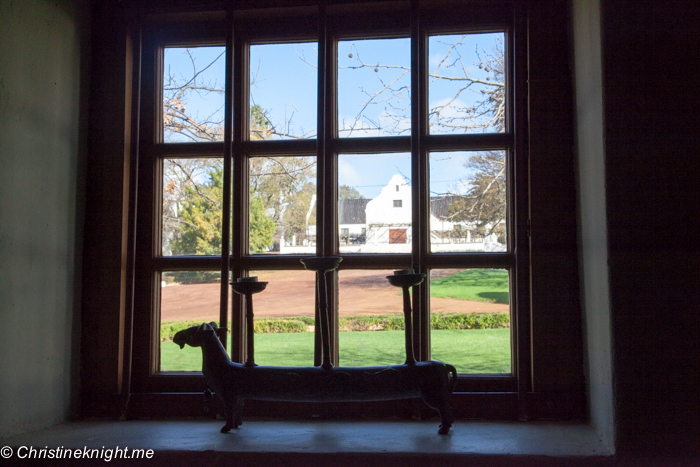 Diemersdal sits on an estate that back to 1698 and has been owned and operated by the Louw family. for six generations. 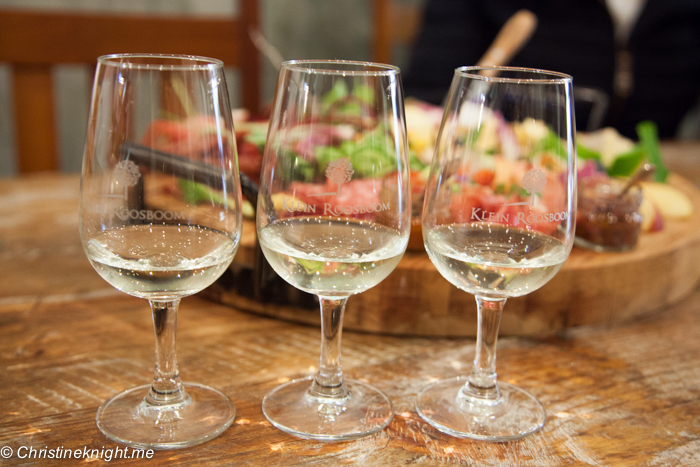 The winery specialises in sauvignon, with 6 different versions from the farm’s vineyards available for tasting. 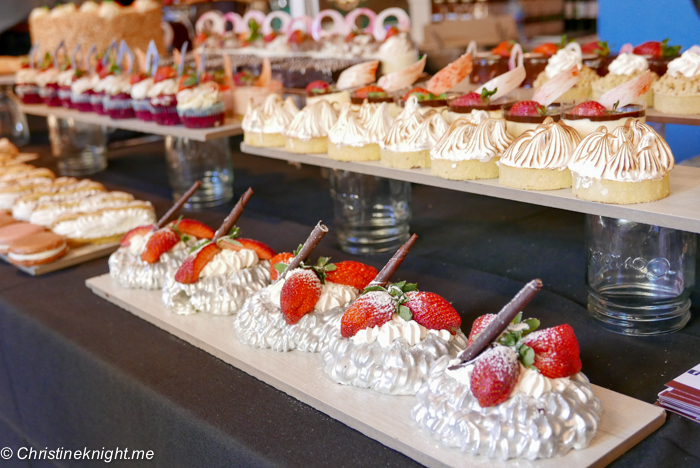 The winery also operates the popular Diemersdal Farm Eatery in the estate’s converted stable. 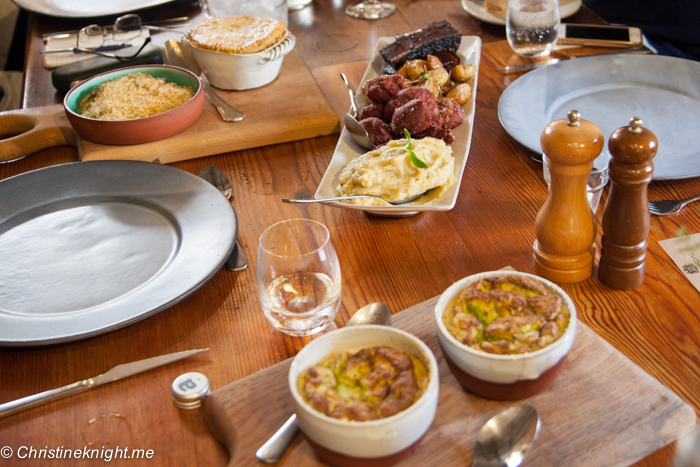 Sit down to a hearty family-style meal Tuesday to Saturday and enjoy locally grown and regionally sourced produce. 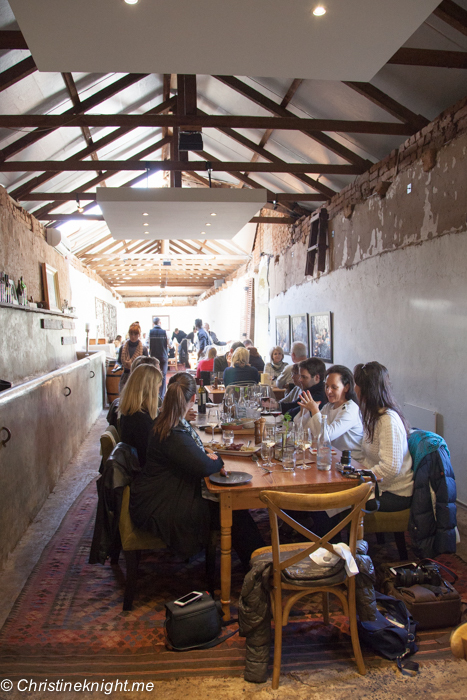 Sundays the farm holds their special traditional roast which is reservation only and a bargain at only $22AUD per person. 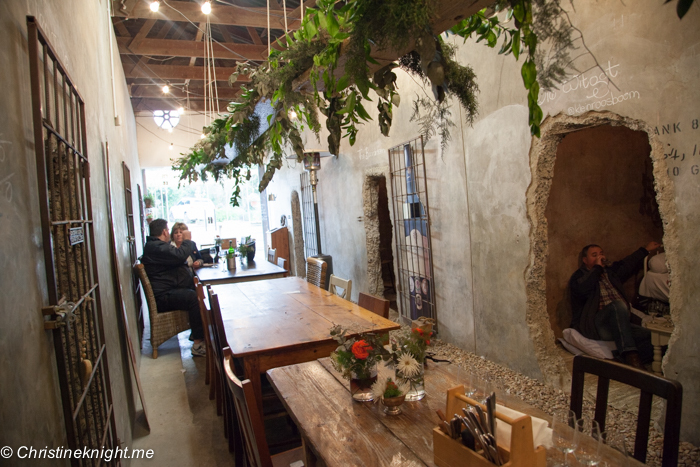 The most unique wine and cheese tasting experience you’ll find on the Cape, Klein Roosboom is a quirky, truly unique place to unwind with friends or on a special date for two. 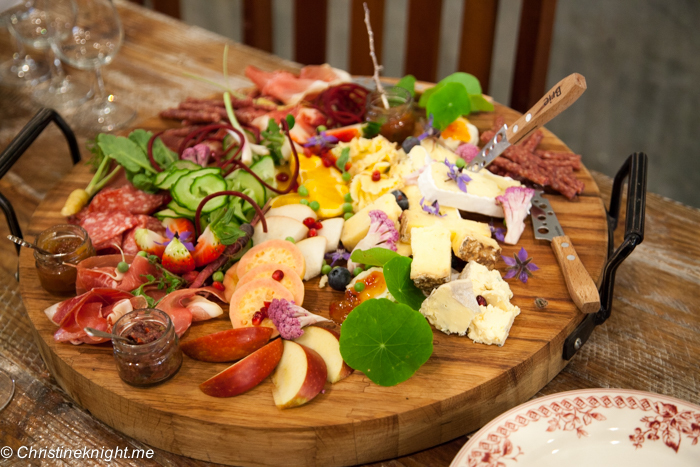 Order a delectable cheese and charcuterie platter made from locally sourced produce, paired perfectly with the vineyard’s wine, which is delightfully named after family members. 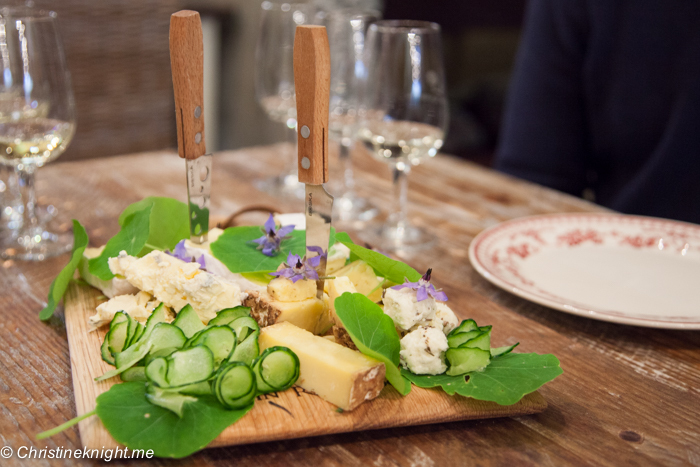 A platter for two will set you back around $17AUD, while the wine tasting is $3 for seven wines, $4 for nine. If you’re after bit of a romantic atmosphere, book one of the special little nook rooms which look like holes in the wall from the outside, and are cosy on the inside. Taking the kids with you? 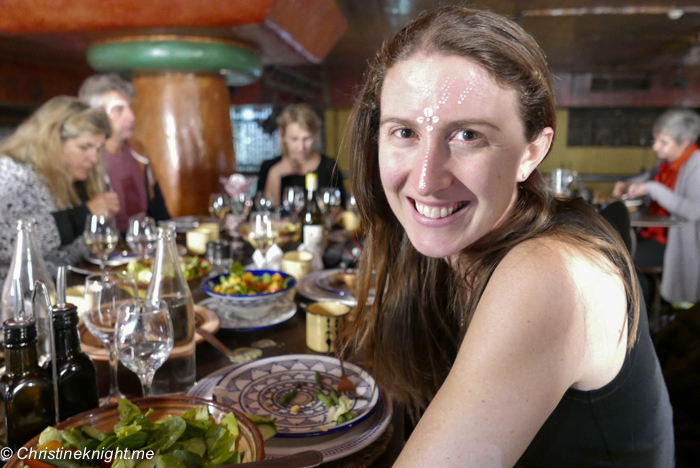 While I did not visit either of these wineries with my child on this trip, I would absolutely take children to either, particularly when dining in. 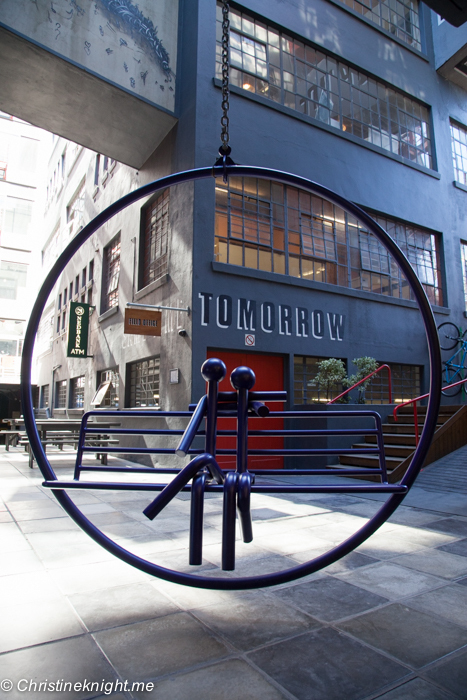 Klein Roosboom even had a small kids’ playground outside. 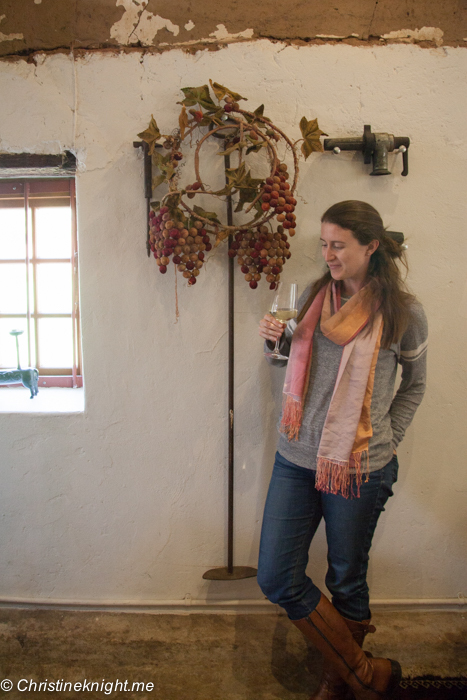 A luxurious winery with an uninterrupted view of Table Mountain. 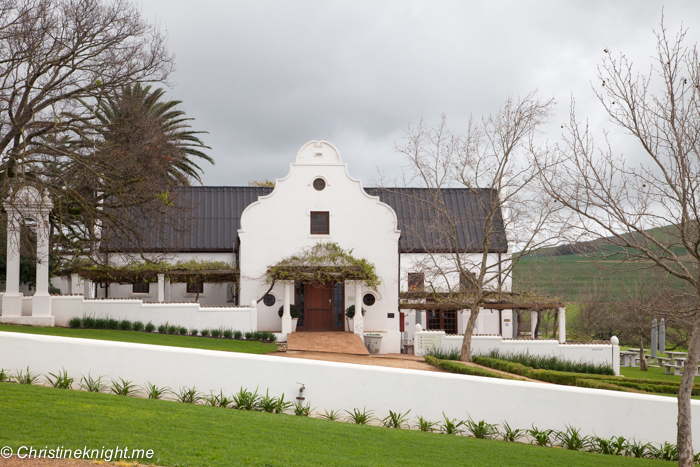 The oldest wine estate in South Africa and home to the delicious Jonkershuis restaurant. 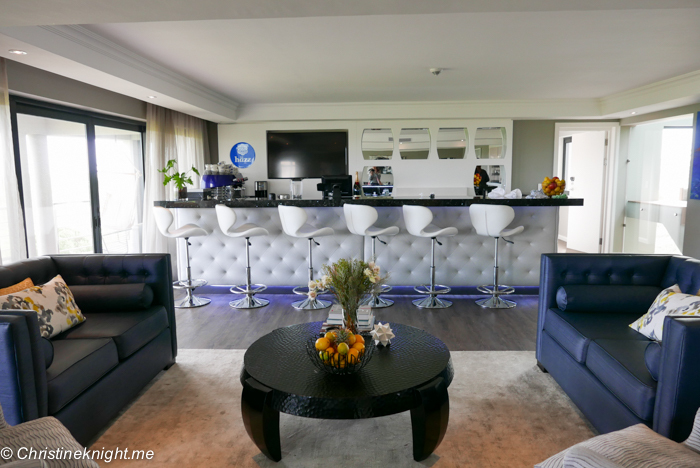 I stayed at the brand new, beautiful Bliss Boutique Hotel. 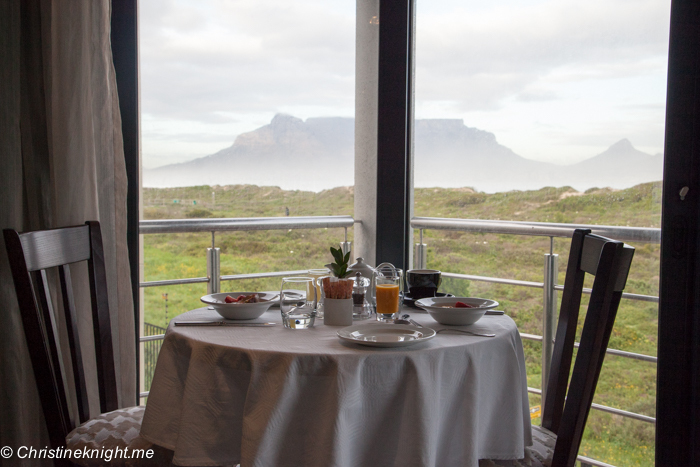 This five star luxury hotel has stunning views of Table Mountain, Table Bay, Robben Island and the Atlantic Ocean. 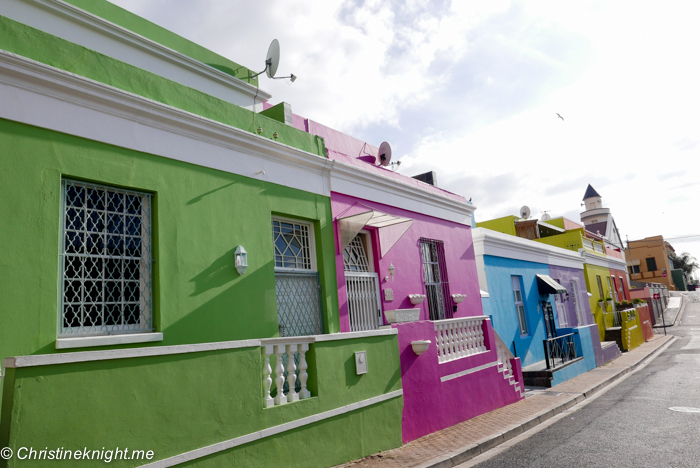 Located 20 minutes from the centre of Cape Town, Bliss is ideal for visitors who want to escape the hustle of the city and relax in the quiet neighbourhood of Sunset Beach. 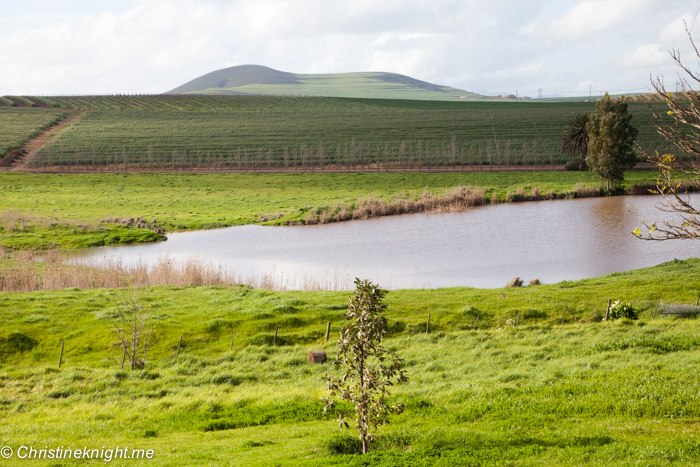 The location is also ideal for visiting the nearby Durbanville wine region. 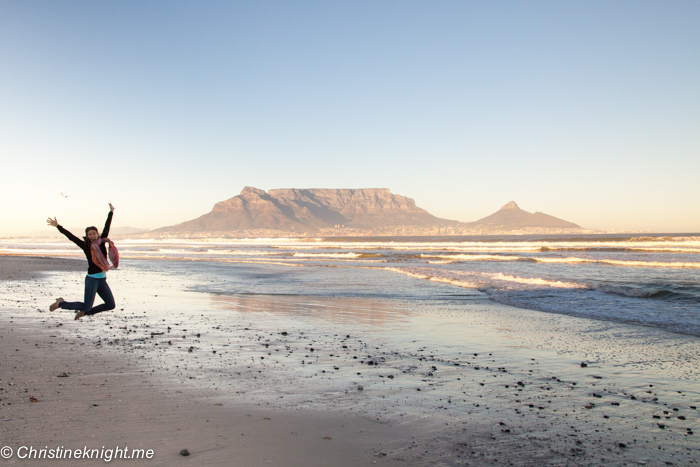 Don’t miss the private path to Sunset beach over the sand dunes for an early morning walk. The view is extraordinary. 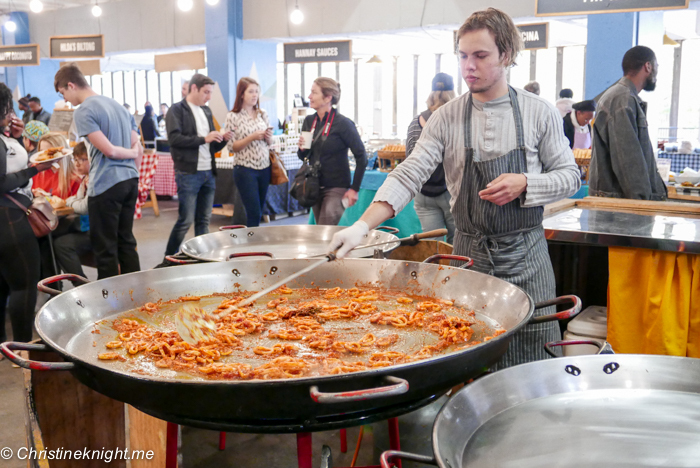 Visiting Cape Town and looking for great places to eat? 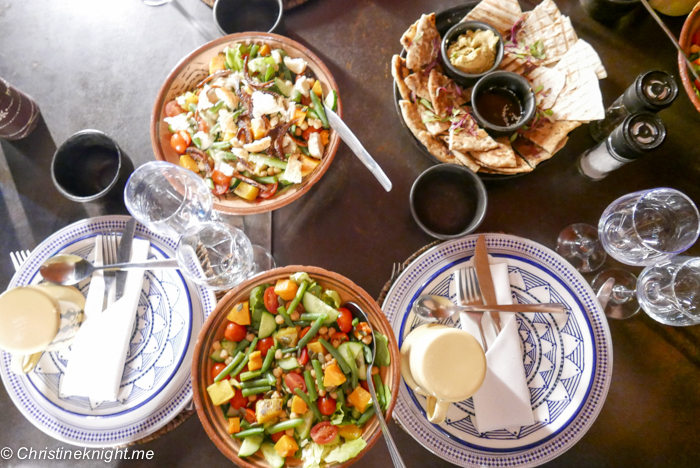 Check out the 2 Food Trippers food guide to Cape Town. 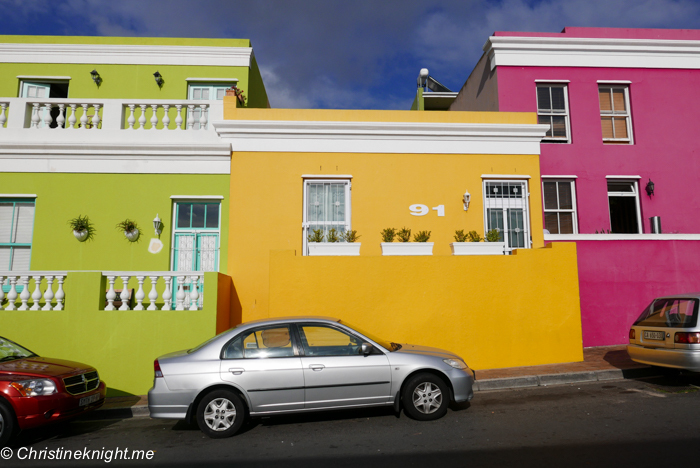 Lions may not roam the streets of Cape Town, but the city and its surrounds are a nature-lover’s delight. 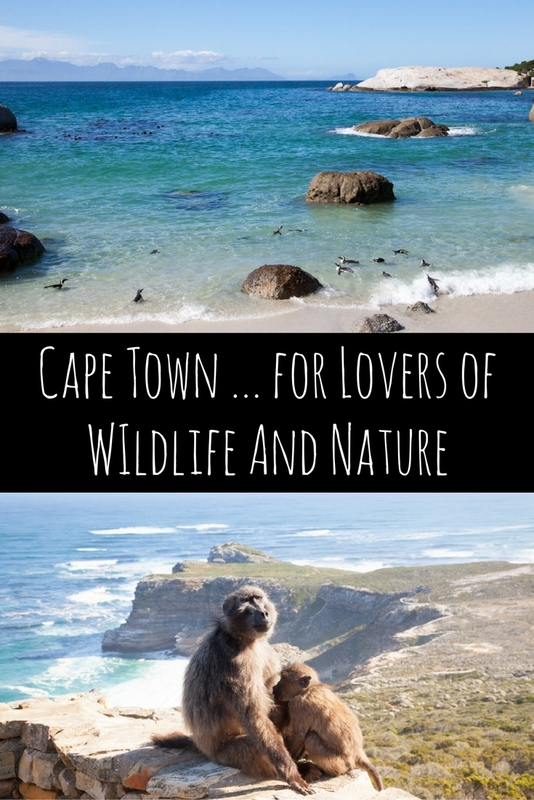 There are plenty of places on the Cape to get up and close with wild animals or discover beautiful plants that grow nowhere else in the world. 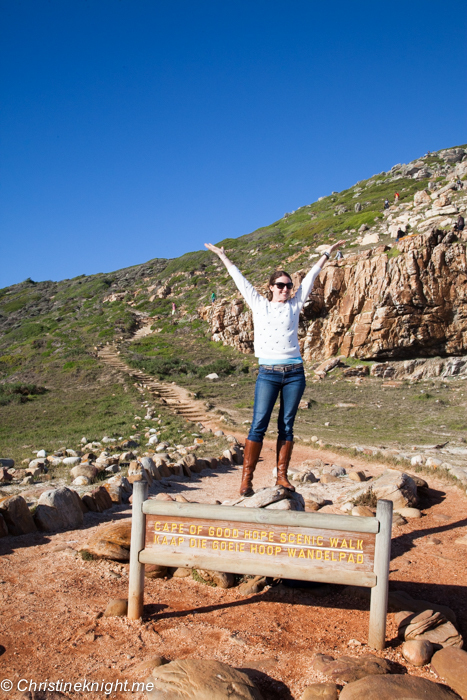 Ride the Flying Dutchman Funicular to the top of Cape Point, over 200 metres above sea level. 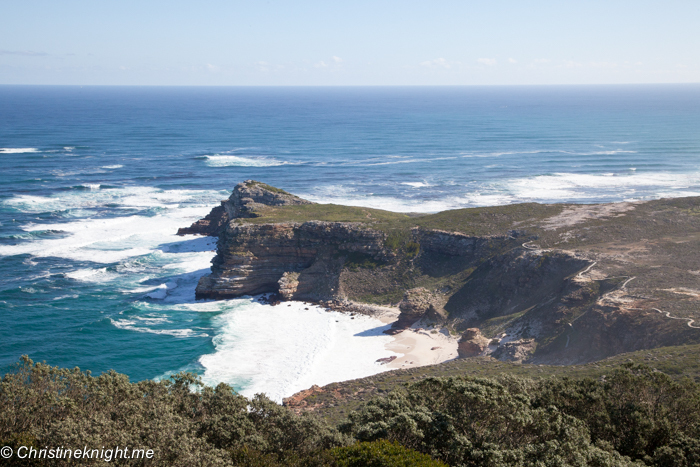 Cape Point is located in the southern region of Table Mountain National Park, where the natural vegetation of the area, called Fynbos, comprises the smallest but richest of the world’s six floral kingdoms. 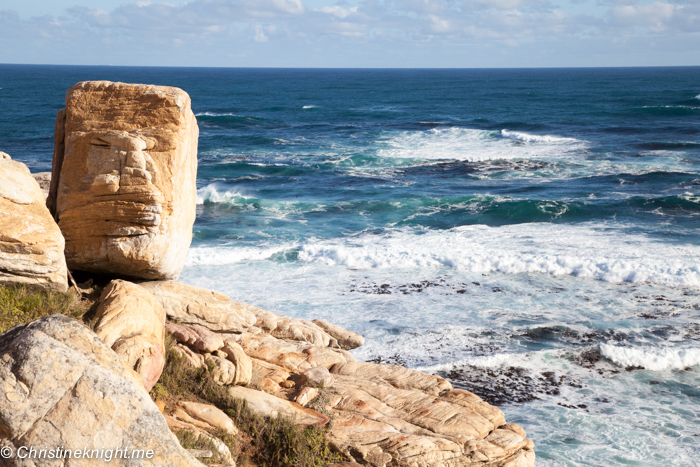 There are 9,000 plant species found here, making the cape not only a dramatic meeting of rugged cliffs and ocean, but also a vibrant landscape of colourful flowers in the springtime. 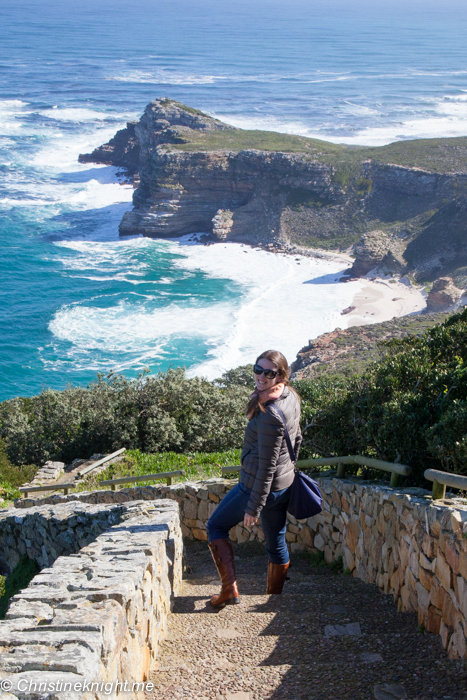 Walking back down the cape along the easy walking path, watch out for the cheeky baboon colony who call this area their home. 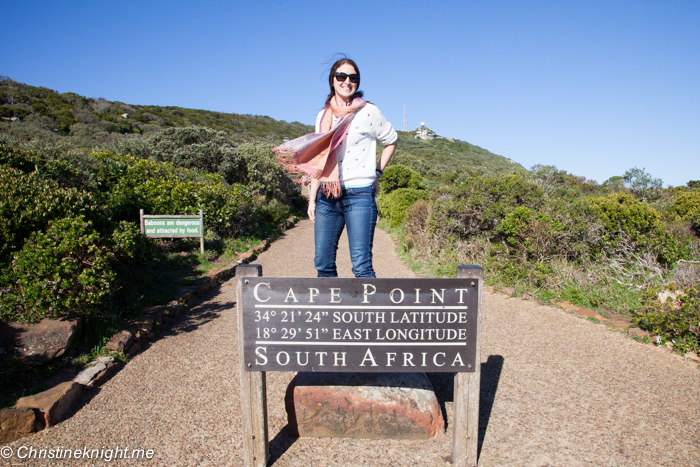 The most south-western point in Africa, Cape of Good Hope has the most instagrammed sign in the South Africa, with a queue of people wanting a selfie at all times of the day. 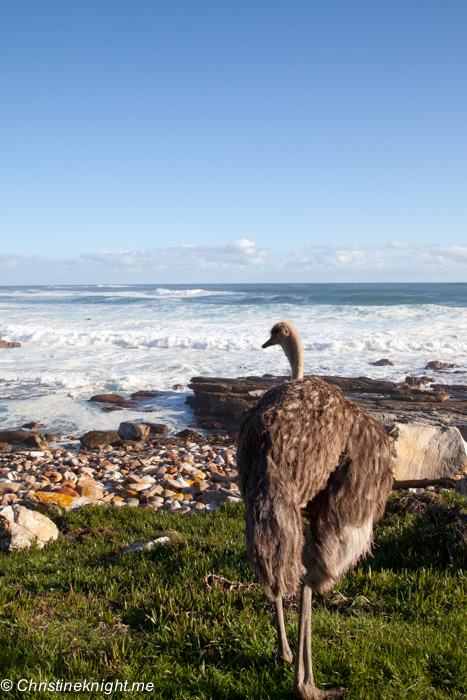 We bypassed the line and instead strolled up the Cape on the lookout for a few of the 250 species of birds who call the national park home. 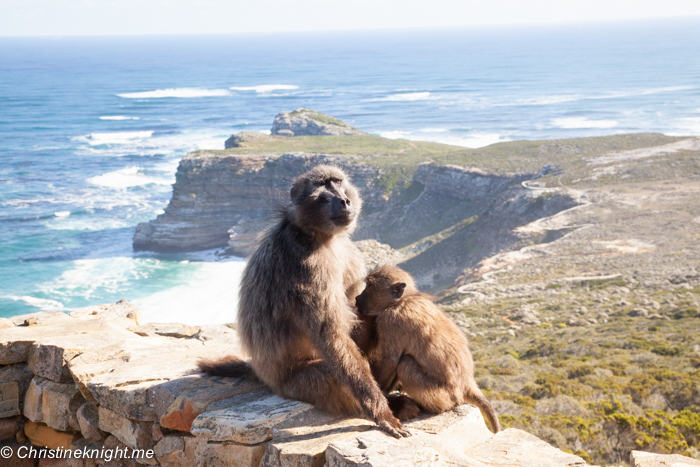 While my untrained eyes don’t see any birds of note, I do spot some of the small animals who are abundant in this area – antelope, ostriches, Rock Hyrax (also called a “dassie”, it looks like a small wombat crossed with a quokka) and even some seals. 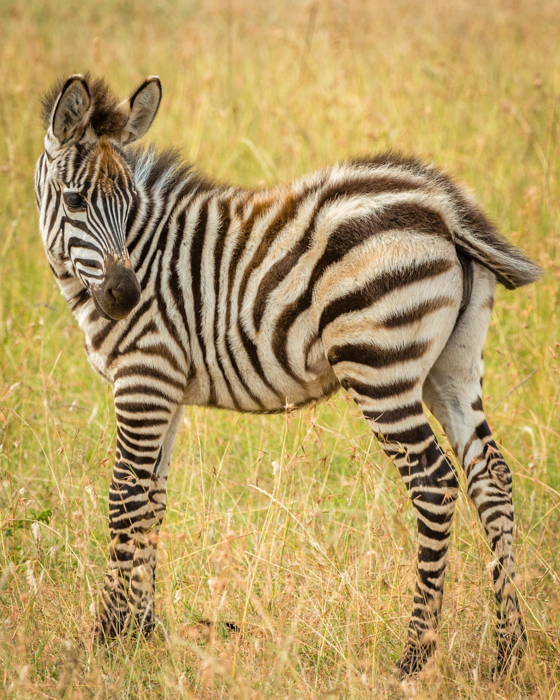 Herds of Zebra are also known to live in the area, plus otters, mongoose, tortoises, snakes and lizards. 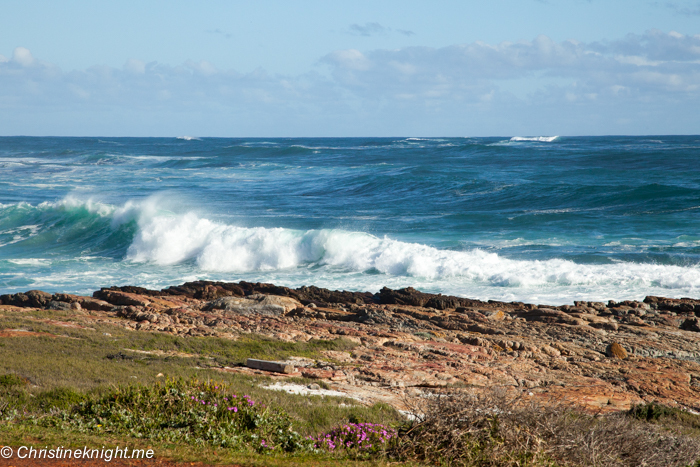 Between June and November the cape is an excellent vantage point for spotting the Southern Right Whale. 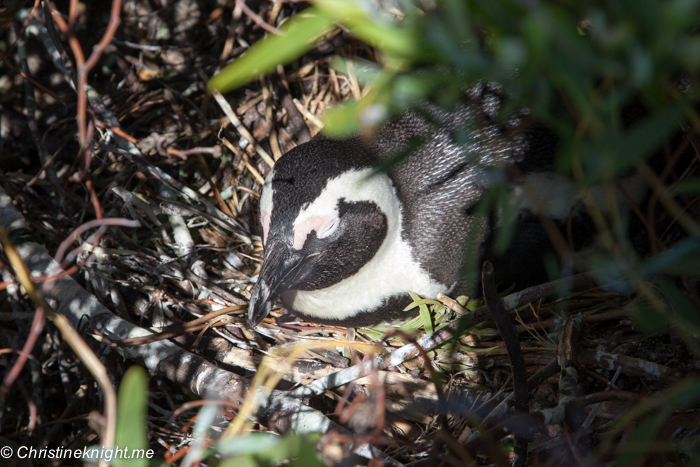 This tiny cove, nestled between Simon’s Town and Cape Point, is one of the few sites where the African Penguin colony can be seen up close in the wild. 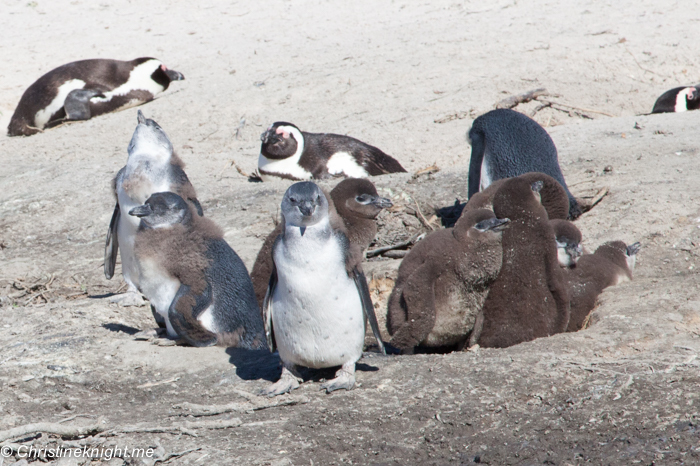 What was once a 1.5-million strong population of African Penguins has dwindled in recent years to around 50,000, placing the breed on the endangered species list. 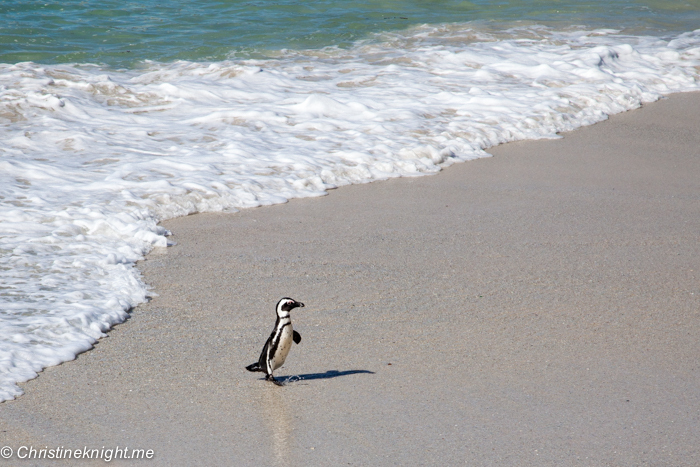 African Penguins are active on the beach during the day, with a few hundred spotted swimming, fishing and generally lounging in the ocean and dunes when we visited. 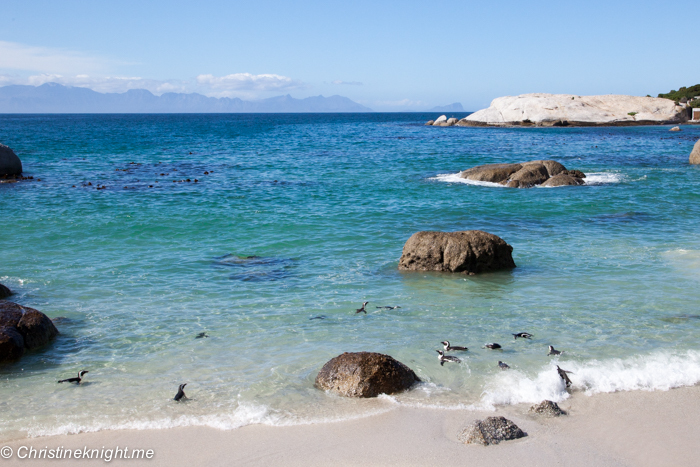 Entrance to Boulders Beach is 65RAN (around $6.5 AUD). 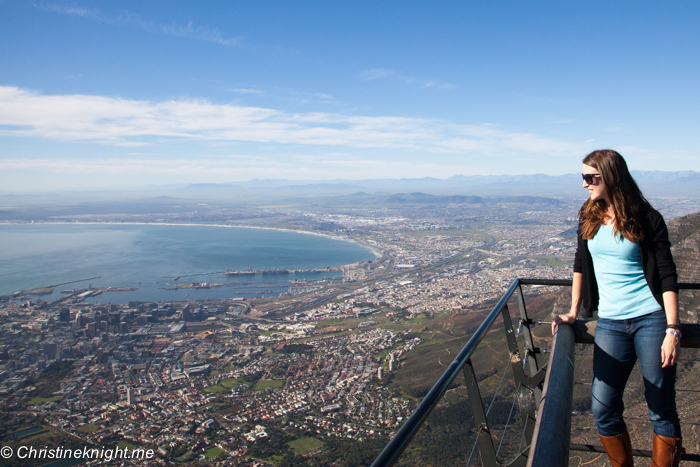 Catch the 360° rotating Table Mountain Cableway to the top of one of the oldest mountains in the world. 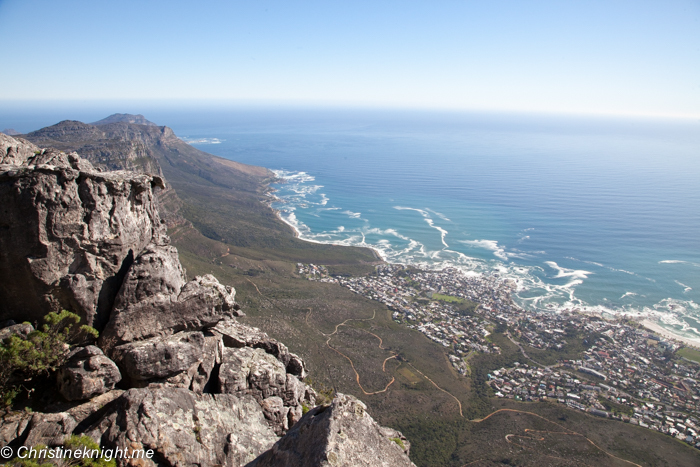 Take in the scenery on one of three easy walking trails at the peak – landmarks such as Robben island, Lion’s Head and even the southern Cape are visible from the top. 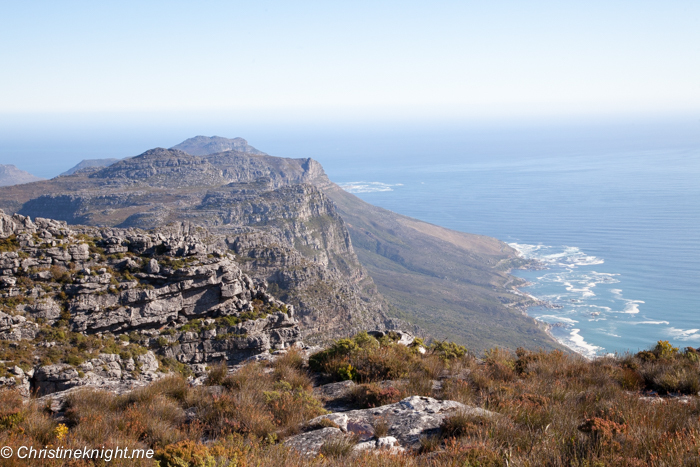 Table Mountain is also home to an incredibly diverse range of plant, animal and insect species, with many of the plant species found nowhere else in the world. 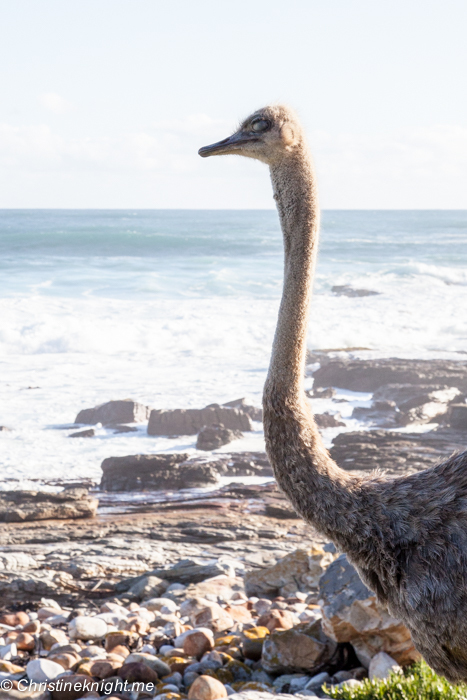 The Kirstenbosch National Botanical Garden sits in the heart of the Cape Floral Kingdom, against the eastern slopes of Cape Town’s Table Mountain. Established in 1913, it is the first botanic garden in the world to be included within a natural World Heritage Site. 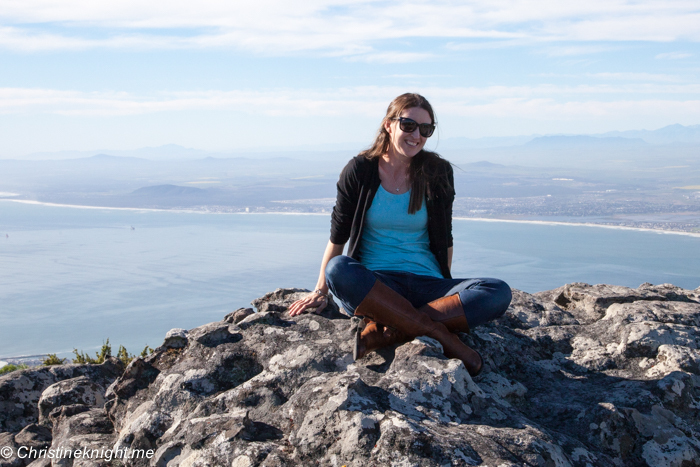 Over 7,000 species of plants are carefully nurtured at Kirstenbosch, many of them classified as rare and threatened. 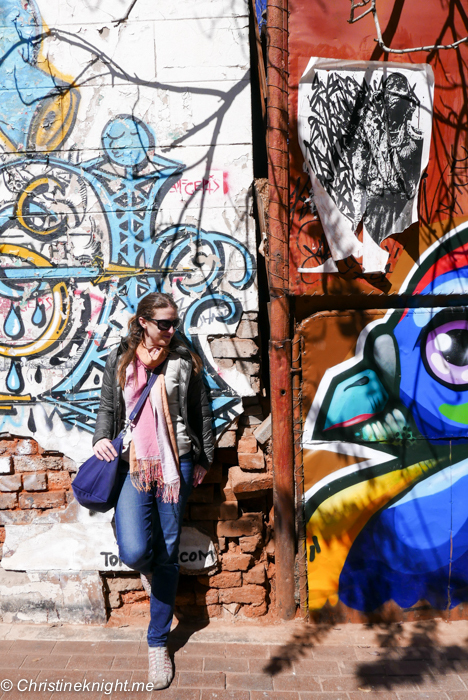 “Joburg” as the city is colloquially known, is South Africa’s largest city, with roots as a 19th-century gold-mining settlement. 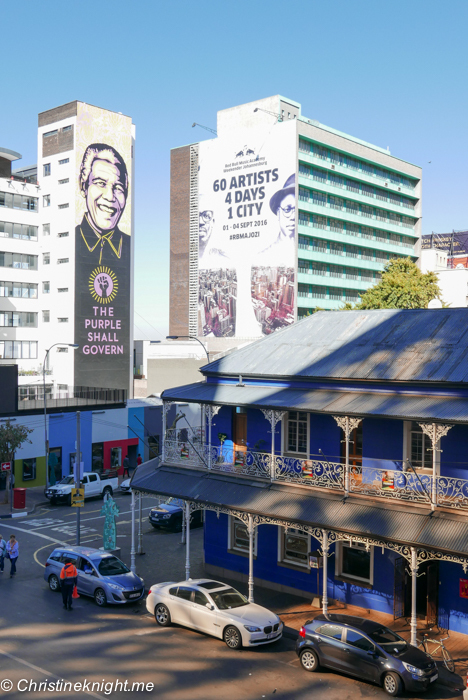 It’s an historic city that has much to offer visitors in terms of culture and its important links to the past, as well as being under intense modern rejuvenation. 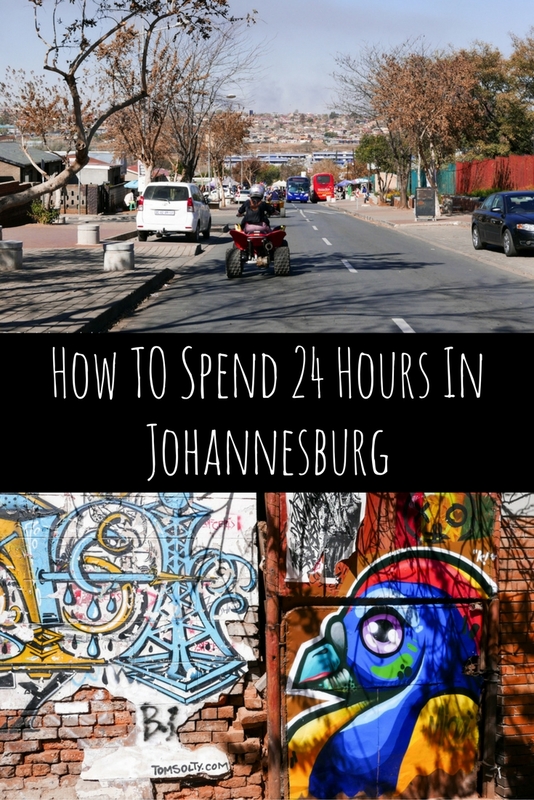 A visit to South Africa isn’t complete without at least a stopover in Johannesburg, so here are a few ideas on how to spent 24 hours in this exciting town. 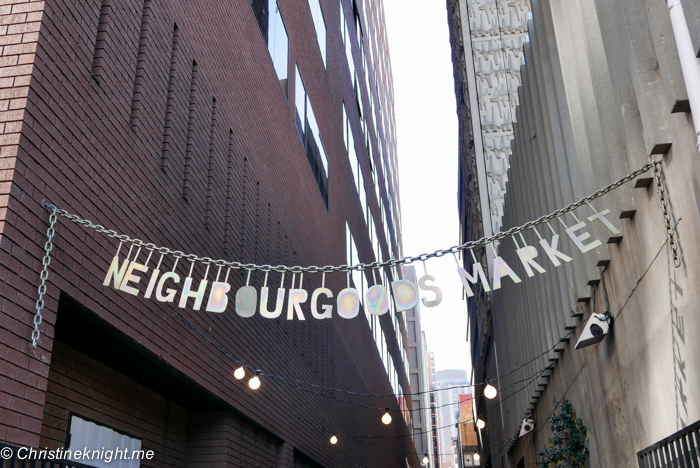 Kick off the day with a visit to Neighbourgoods Market in Braamfontein. 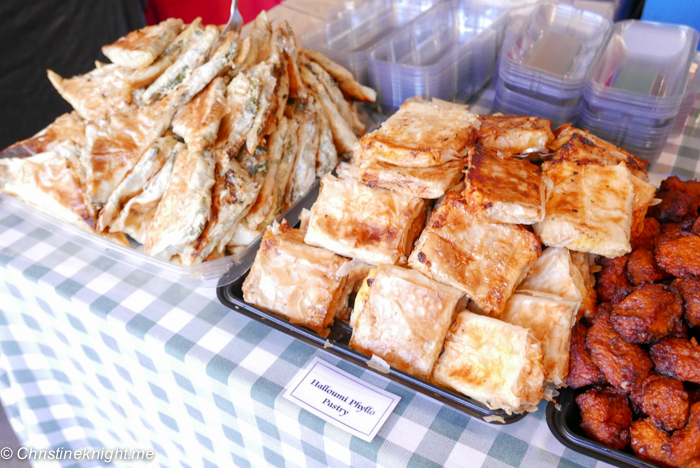 The market is a popular place for locals to buy fresh food and locally made jewellery and clothing, as well as being a spot for enjoying a coffee with friends. 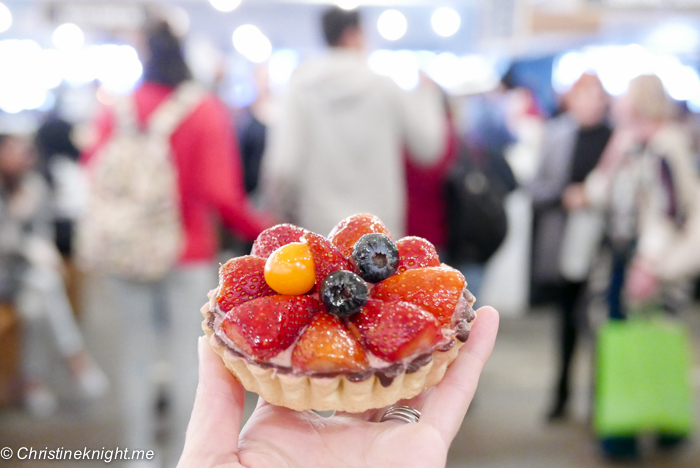 Be sure to try the food – I really enjoyed a slab of halloumi covered in filo pastry and a fruit tart with strawberry pastry creme. 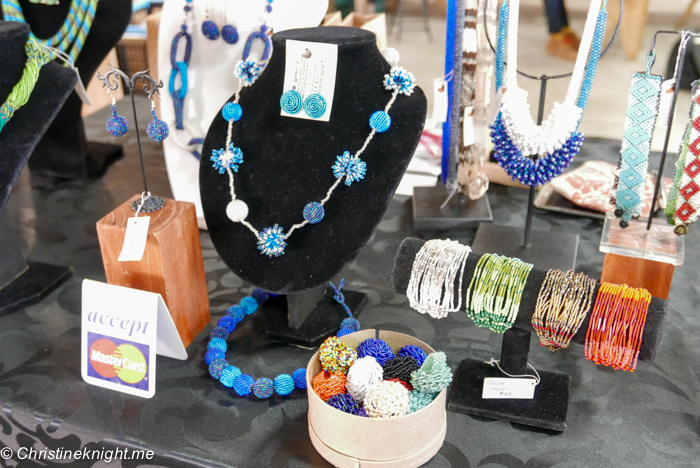 The scarves and jewellery on the second floor are also hard to resist. 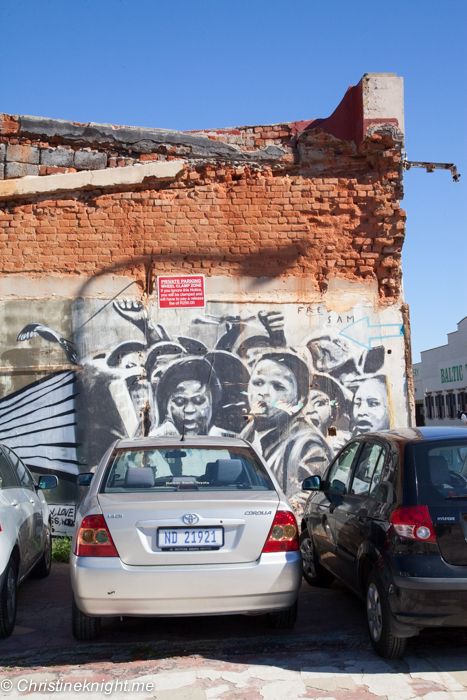 Take a stroll through the Maboneng Precinct, the centrepiece of the city’s regeneration project. 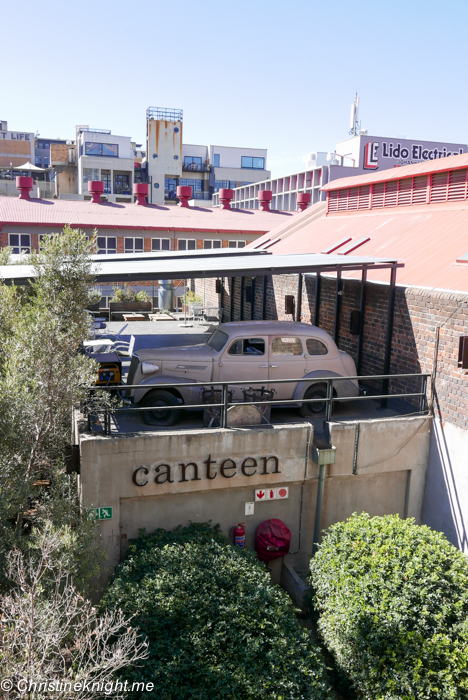 The precinct is a mix of creative office spaces used by start ups, galleries, shops and restaurants. 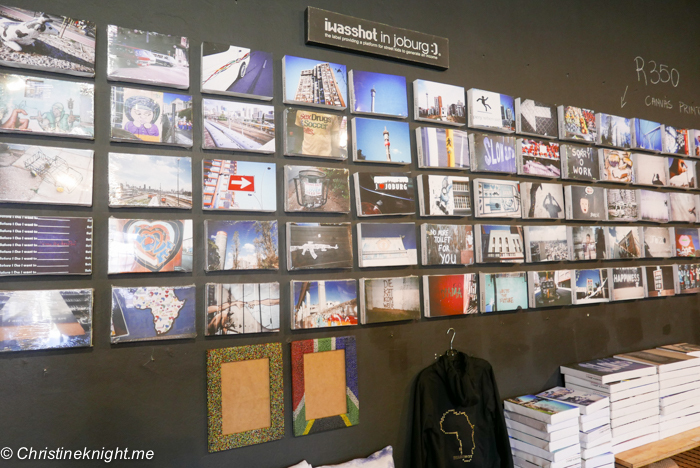 Before you stop for lunch at one of the many modern cafes that line the streets, duck into the gallery on Fox Street that houses the “I Was Shot In Joburg” photography project/retail store. 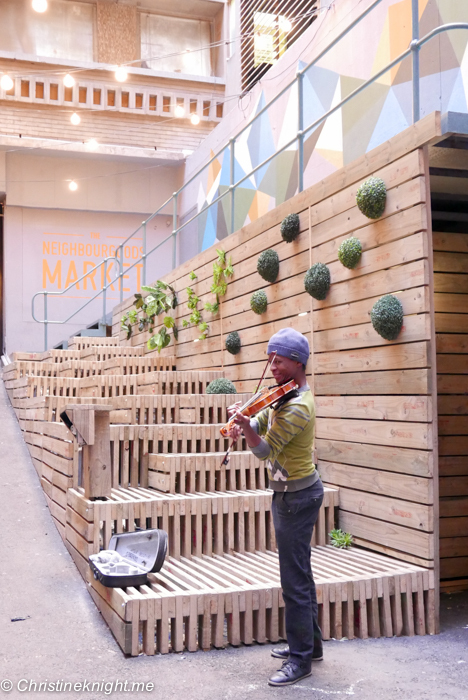 The project teaches the formerly homeless youth of the city to to take photographs of their neighbourhood and make a profit from it. 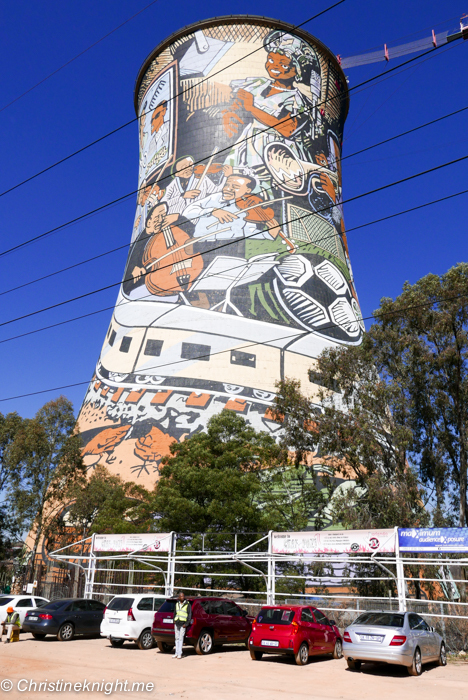 A visit to Johannesburg isn’t complete without a tour of Soweto. 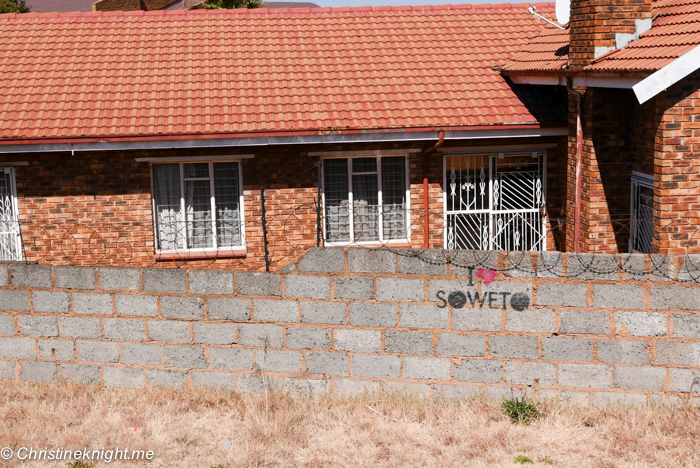 The town (its name is an acronym for “South-Western Townships”) began as a settlement for native African workers during the gold mining period and became a separate residential area for blacks in the 1950s under the apartheid segregation laws, when they were not permitted to live in Johannesburg proper anymore. 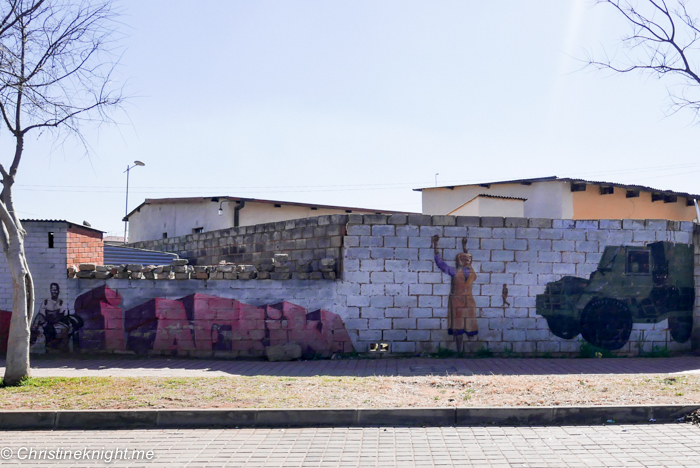 The township was at the centre of the apartheid uprising during the 1970s, and is nowadays home to around about a third of the population of Joburg, with a mix of upper class business people, poverty stricken lower classes and vibrant restaurants and clubs. 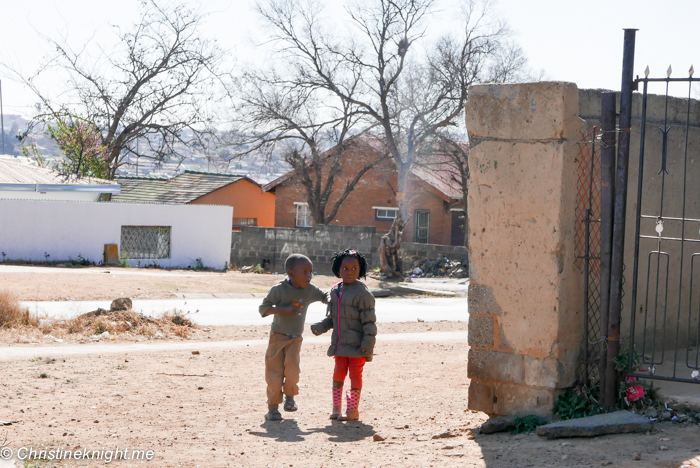 While the apartheid laws have been removed, the township remains a largely area, with a strong sense of community. 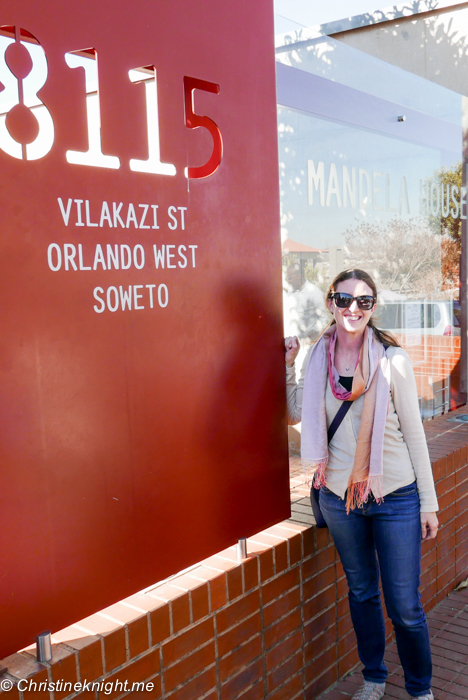 Soweto’s Vilakazi Street is the only street in the world to have been home to two Nobel Peace Prize Winners – Nelson Mandela and Desmond Tutu. 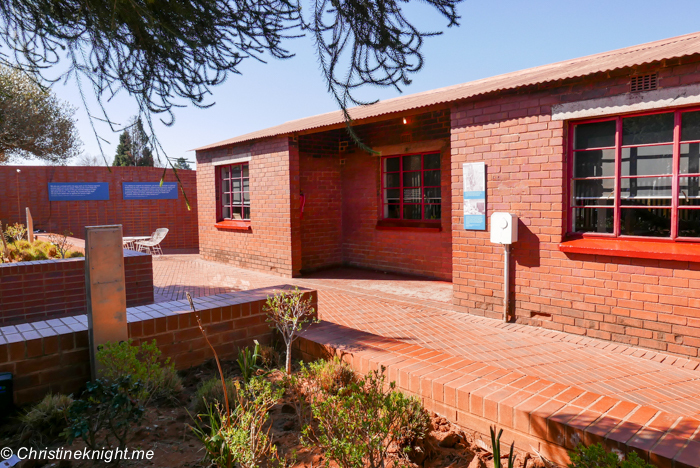 The Nelson Mandela House is now a museum paying homage to his life. 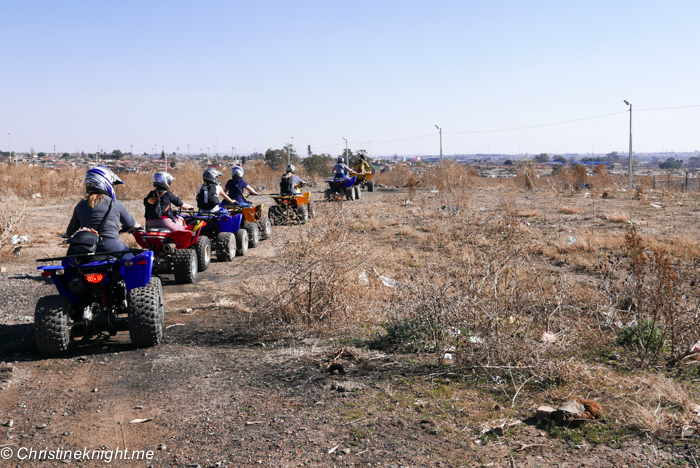 While we did an exhilarating quad bike tour of Soweto with Soweto Outdoor Adventures that enabled us to cover a great distance over a thrilling mix of off roading and main roads, if you prefer to move at a slower pace you might want to try an immersive cycle tour (get more info on the cycle tour on Jayne from Girl Tweet’s World’s post). 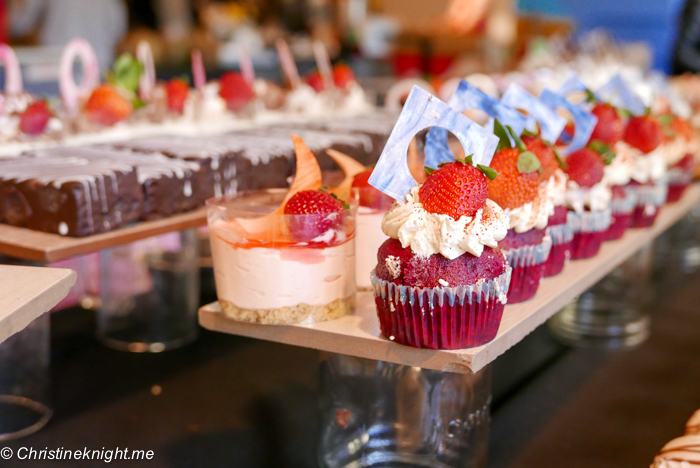 For a truly iconic African experience, dine at Moyo Melrose Arch and enjoy live stage bands playing African music while diving into delicious local cuisine. The amazing face painting is just an added bonus. 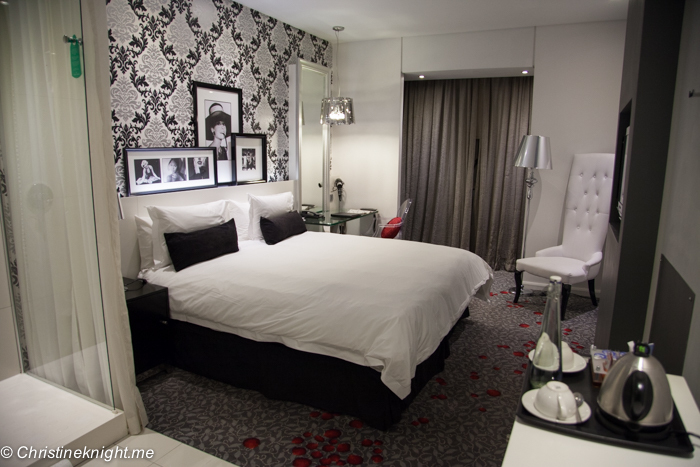 I stayed at the Protea Hotel Fire and Ice, Melrose Arch. This Hollywood-themed hotel has rooms outfitted with legends such as Audrey Hepburn, gorgeous modern decor and killer milkshakes (you absolutely must try their milkshake bar). 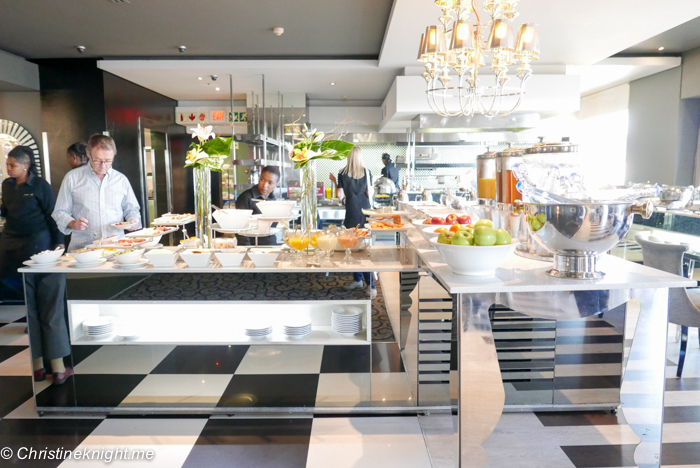 The Protea Fire & Ice features 197 luxurious rooms with all the modern amenities you’d expect from a four-star hotel such as air conditioning, free (although a bit dodgy) WiFi and a delicious breakfast buffet complete with omelet bar. 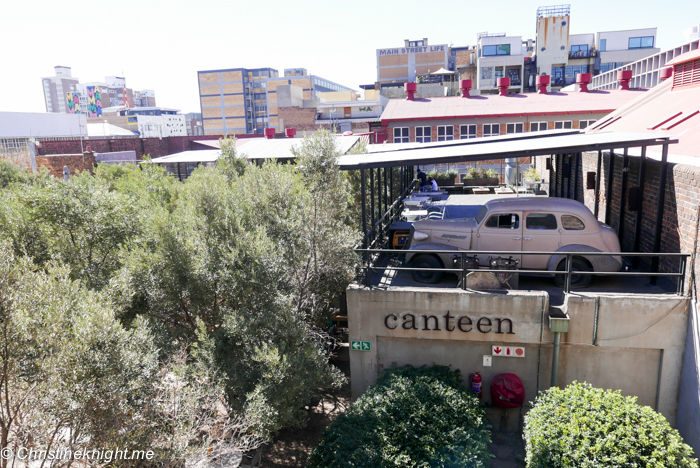 The location is pretty spot on too – it’s located 10.4 km from Johannesburg city centre in the trendy Melrose Arch shopping district. 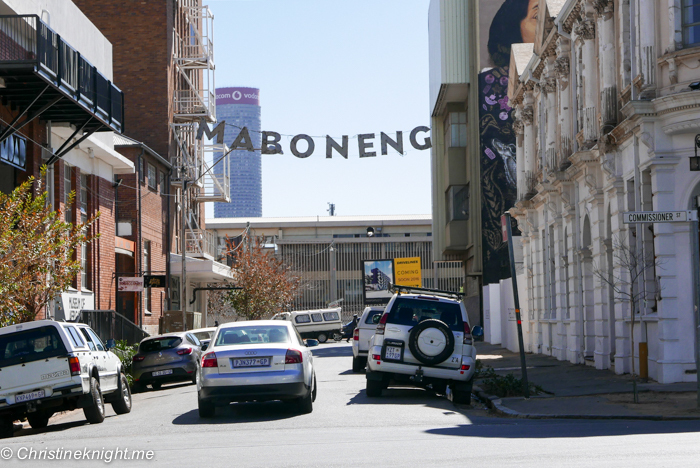 Use taxis or Uber to get from your hotel to Maboneng and the Neighbourgoods Market. 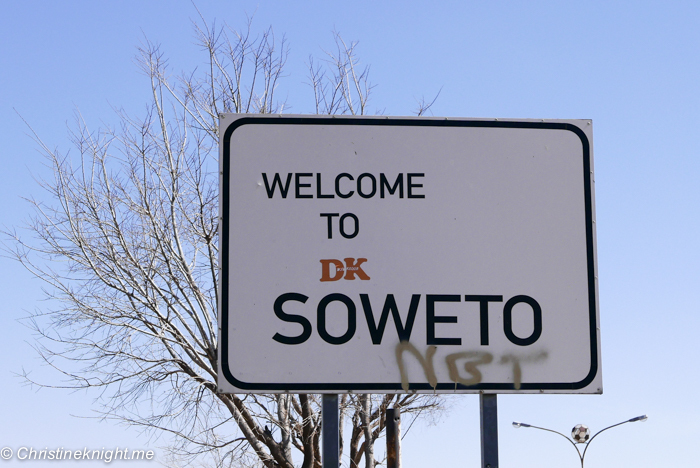 I highly suggest booking a local tour to see Soweto.